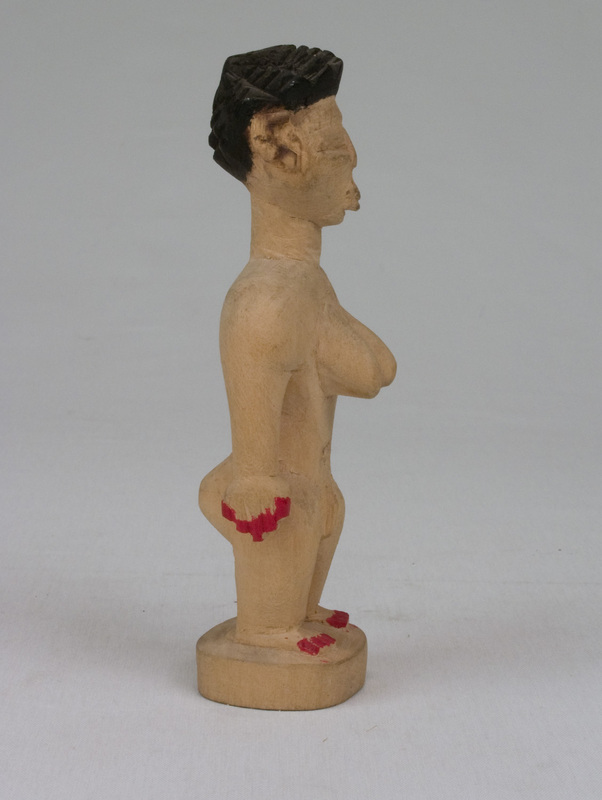 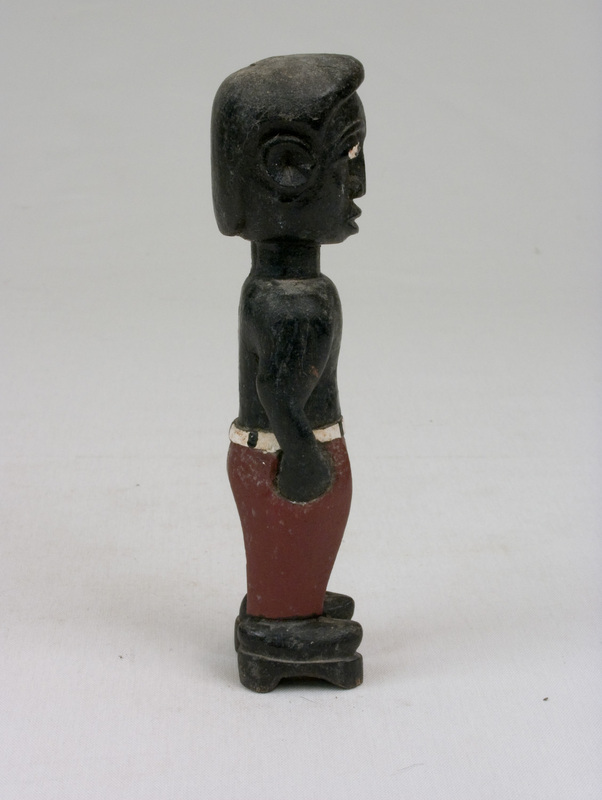 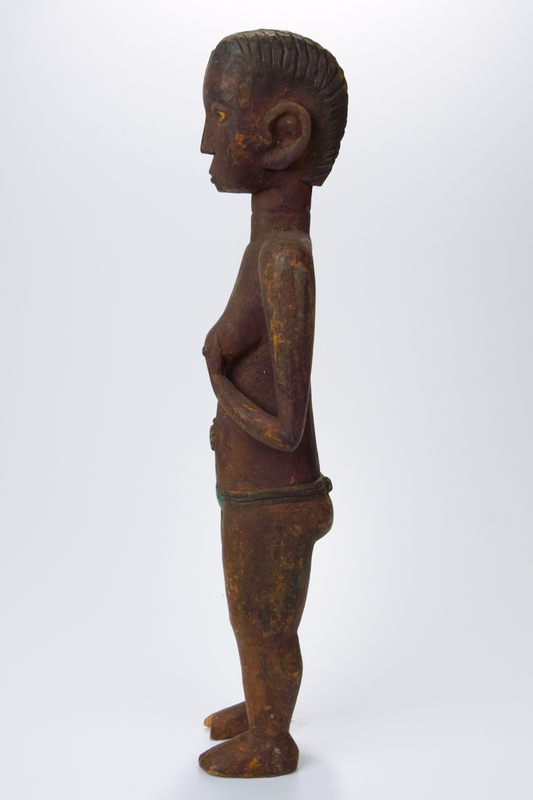 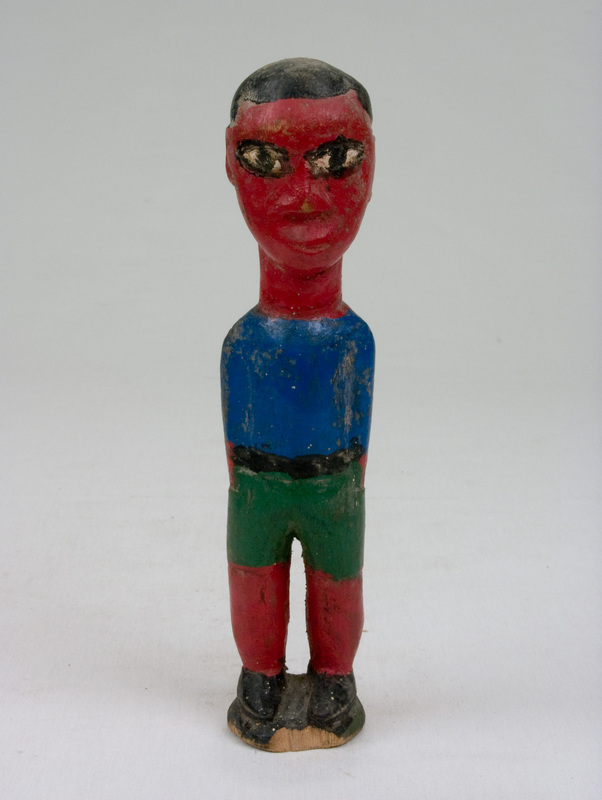 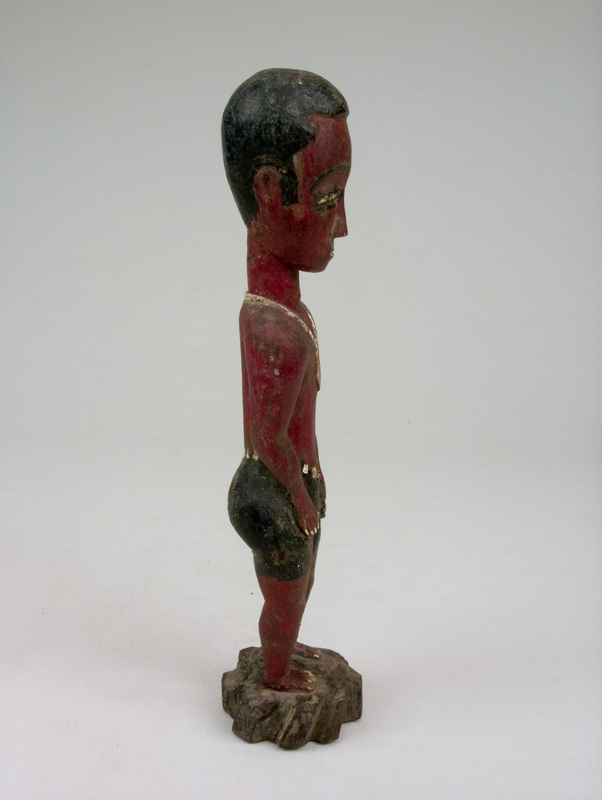 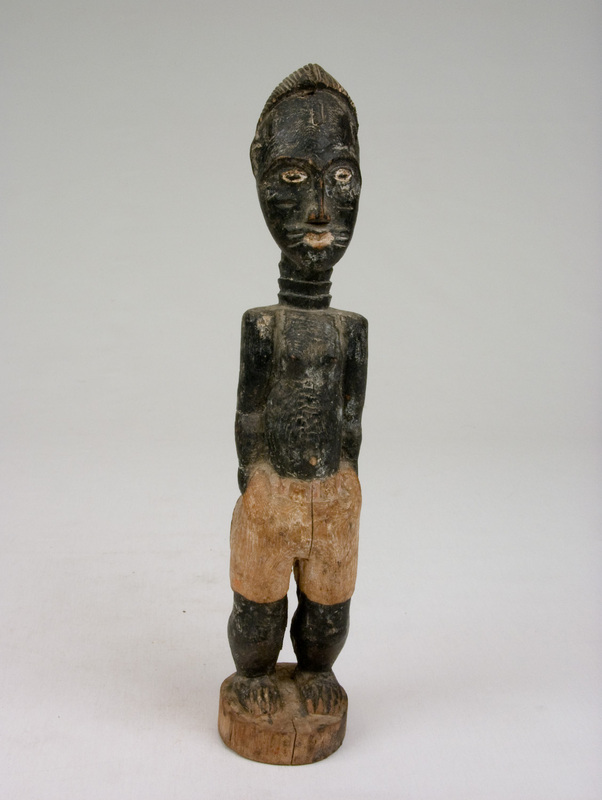 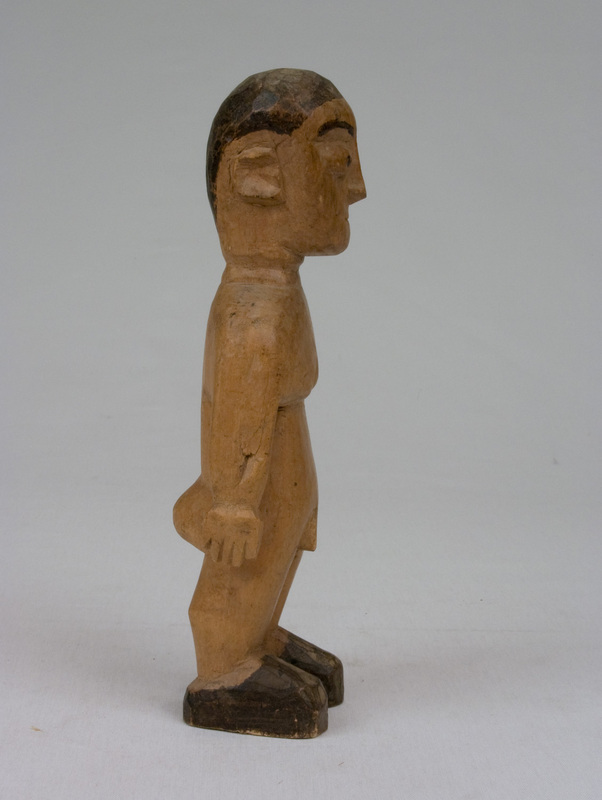 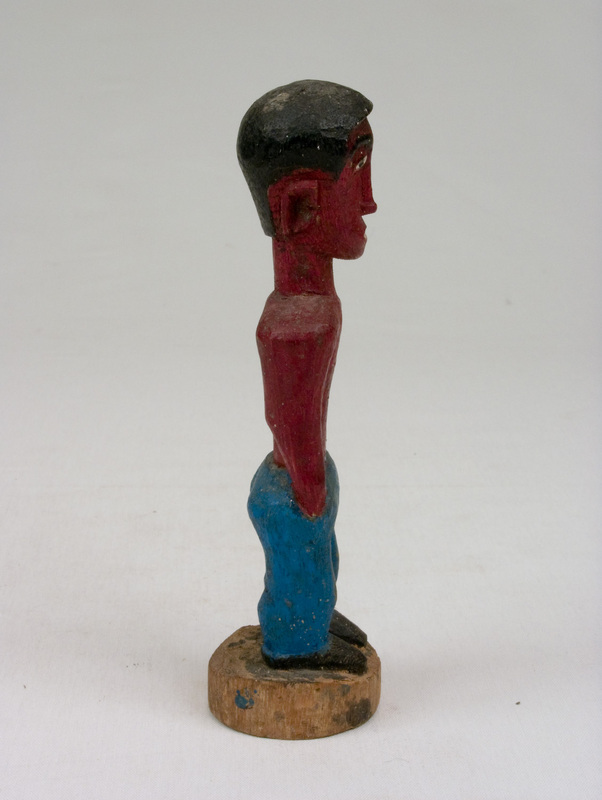 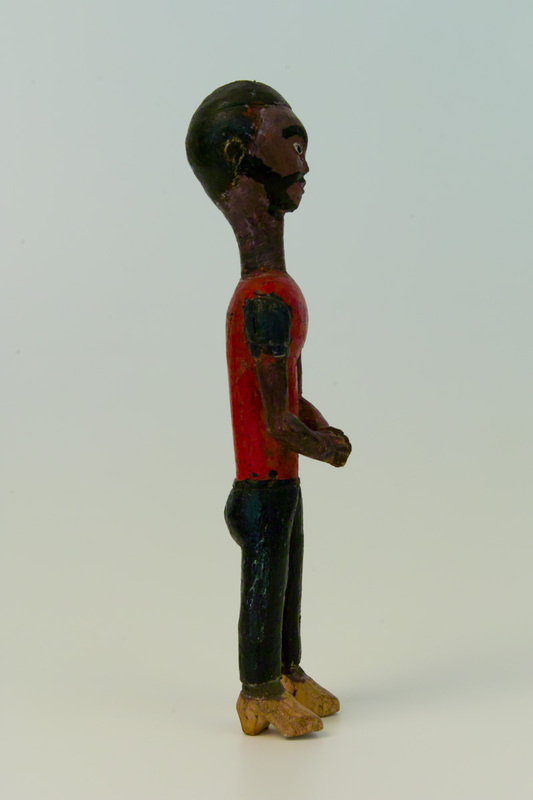 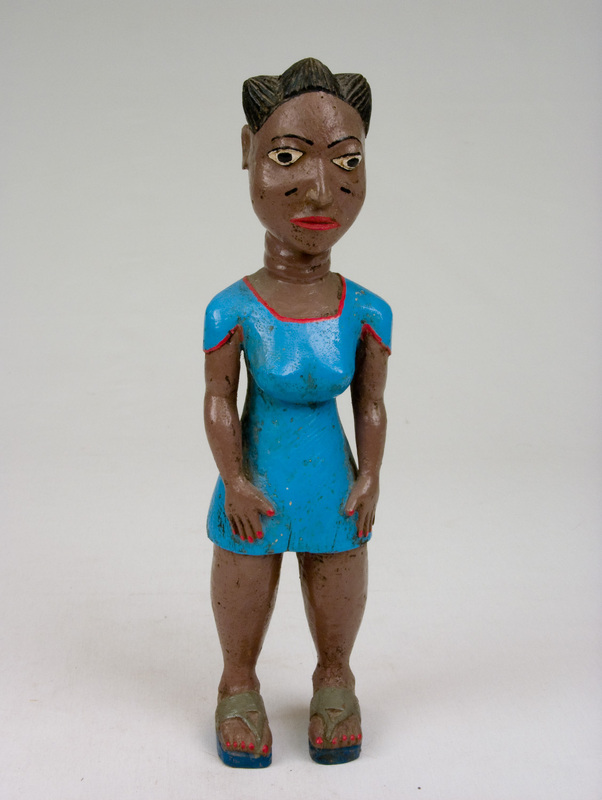 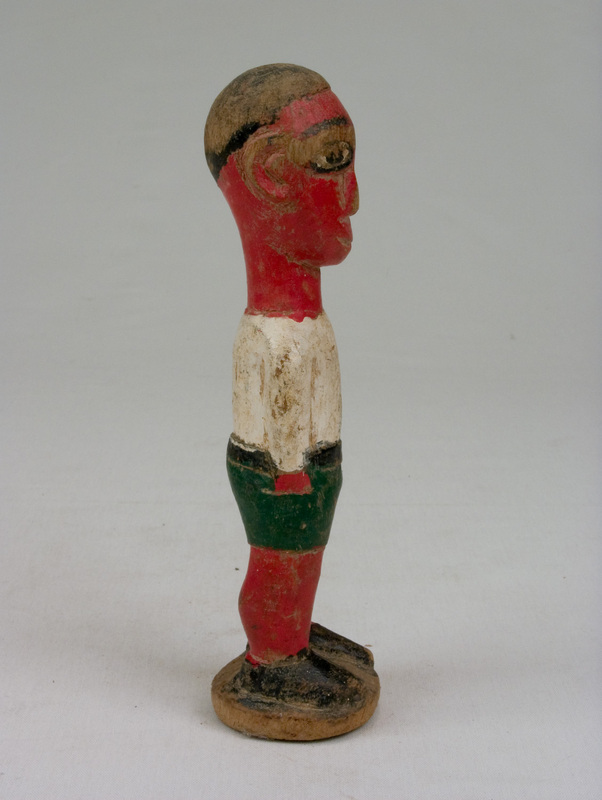 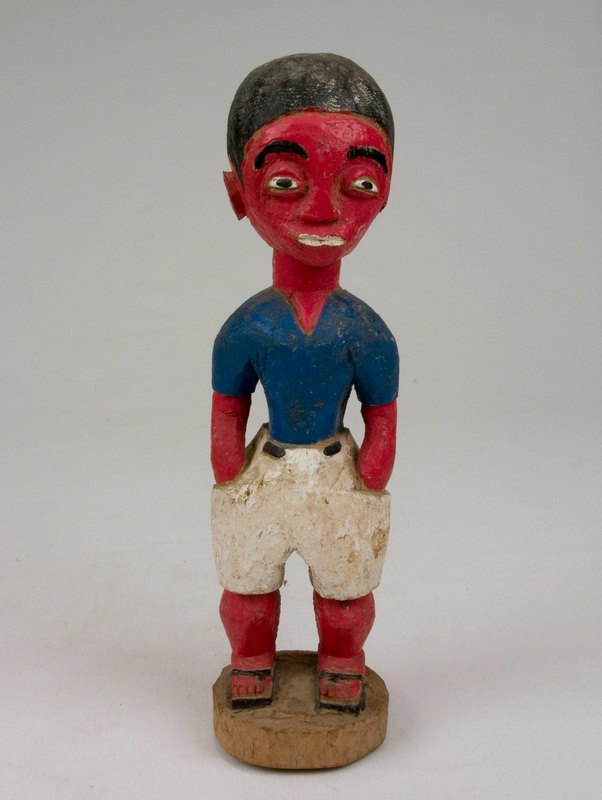 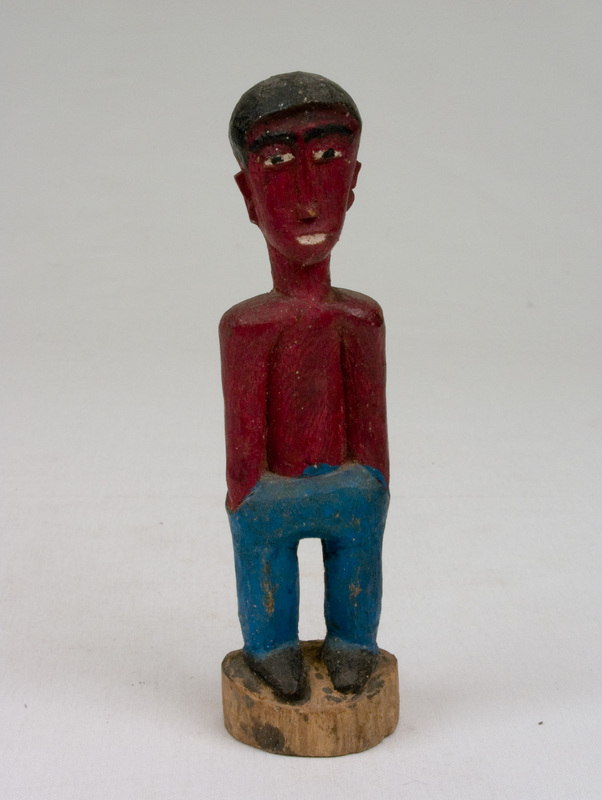 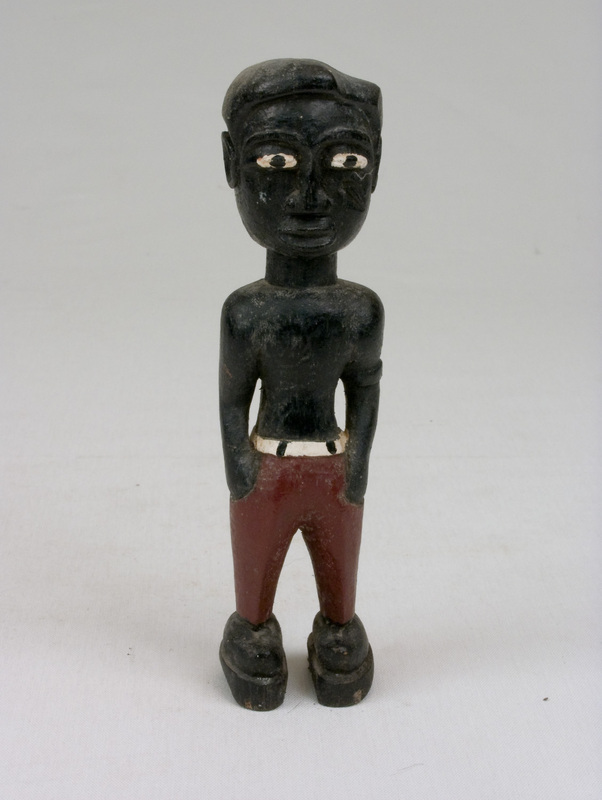 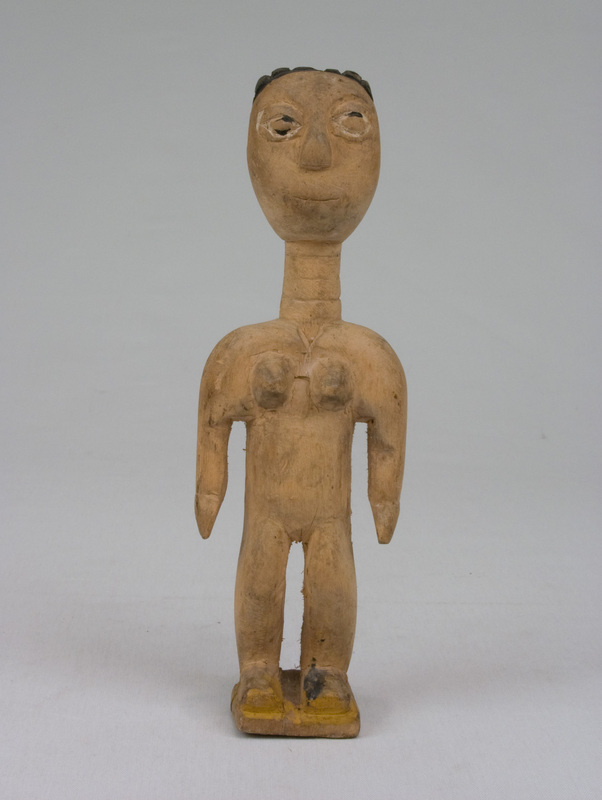 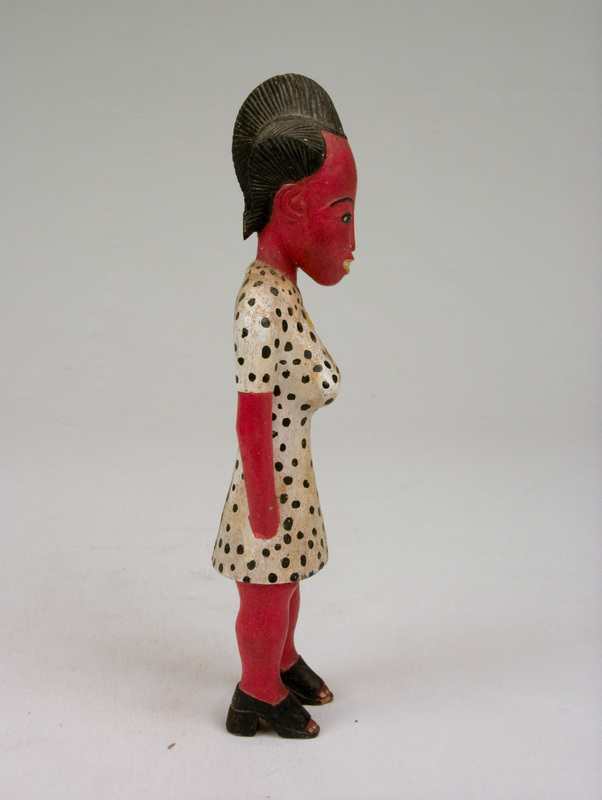 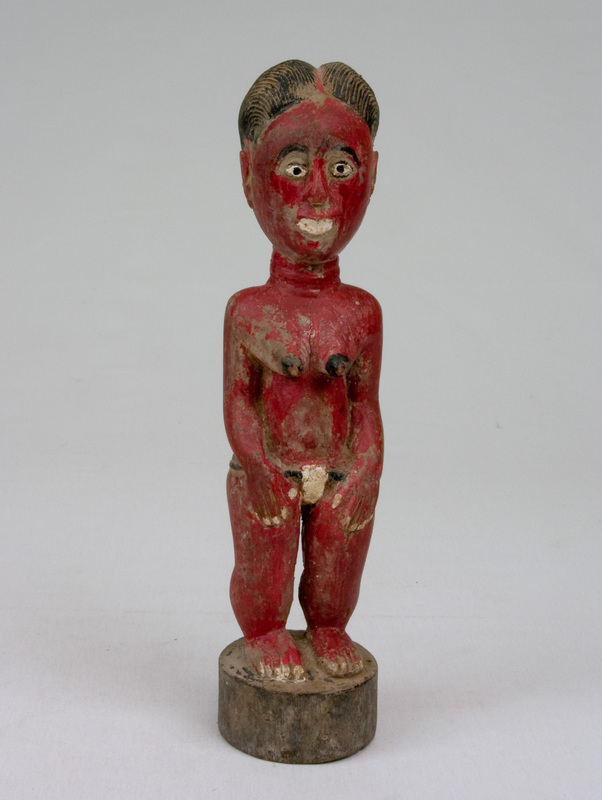 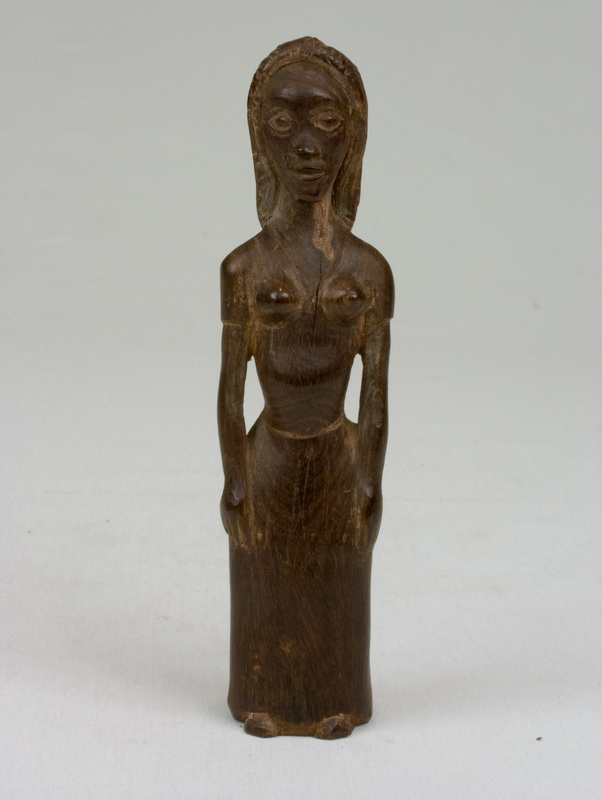 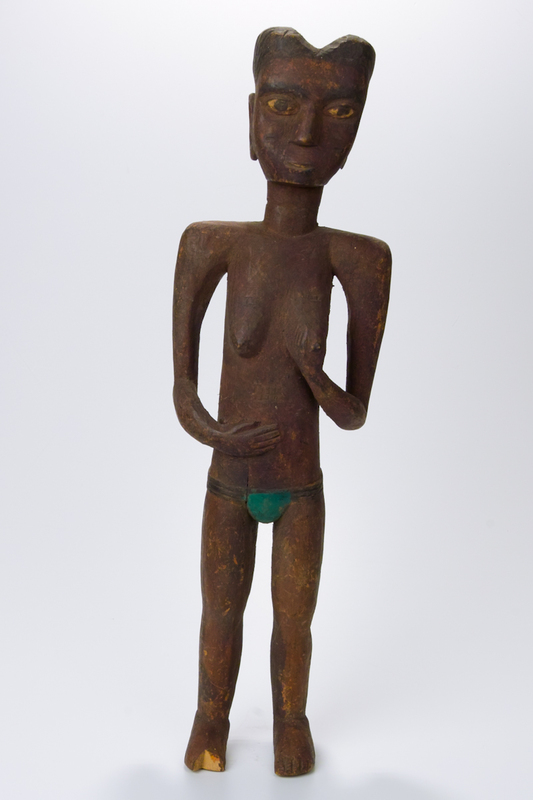 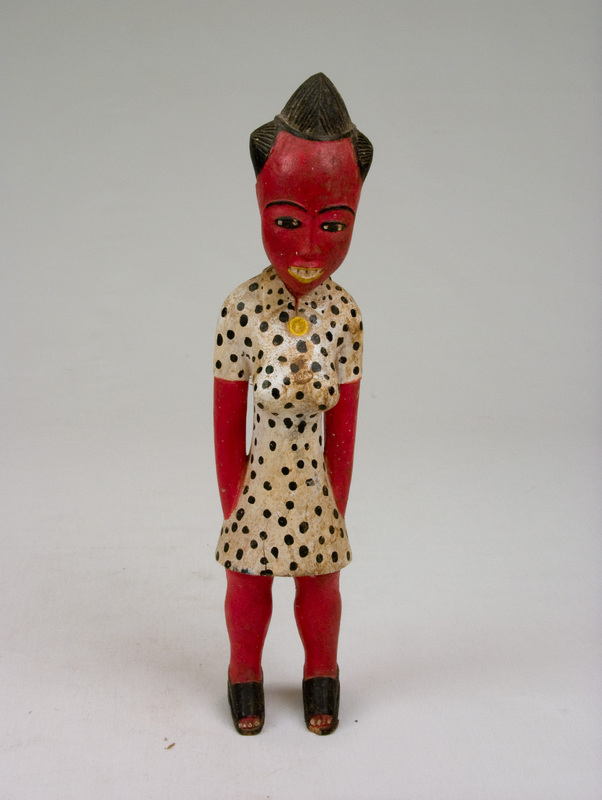 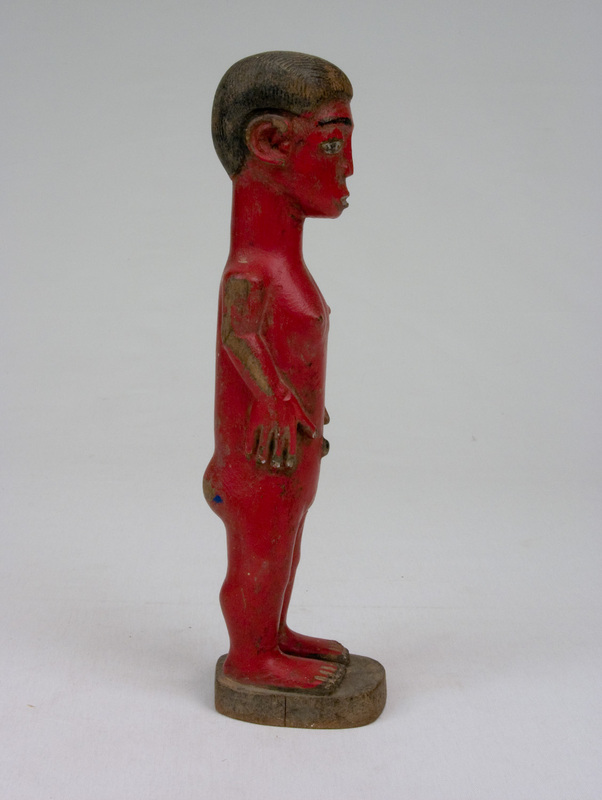 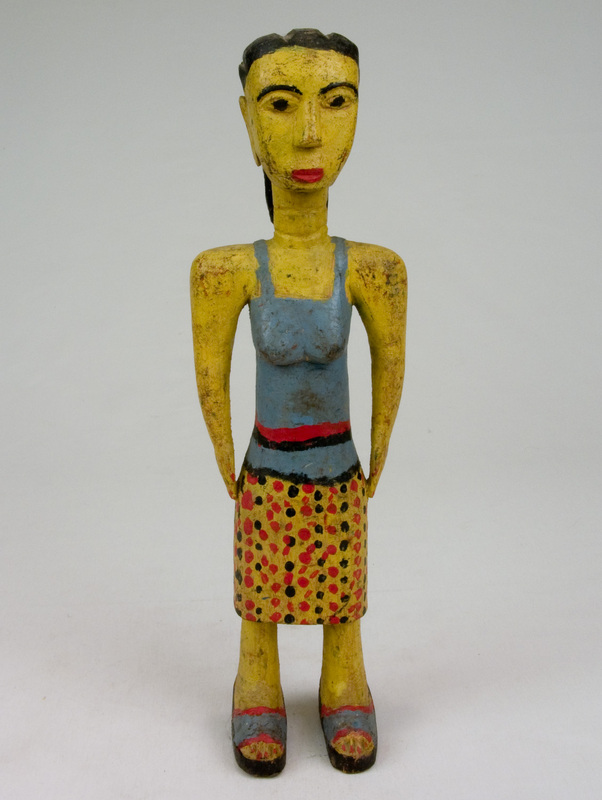 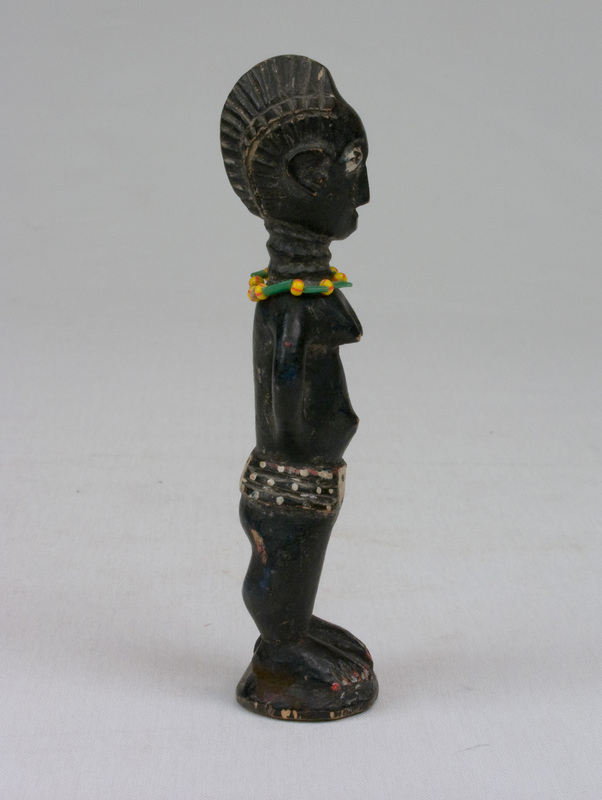 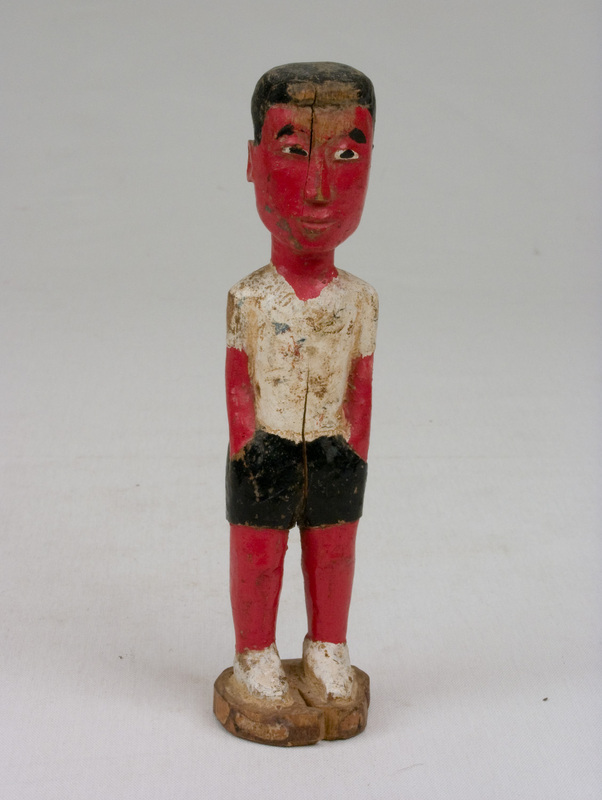 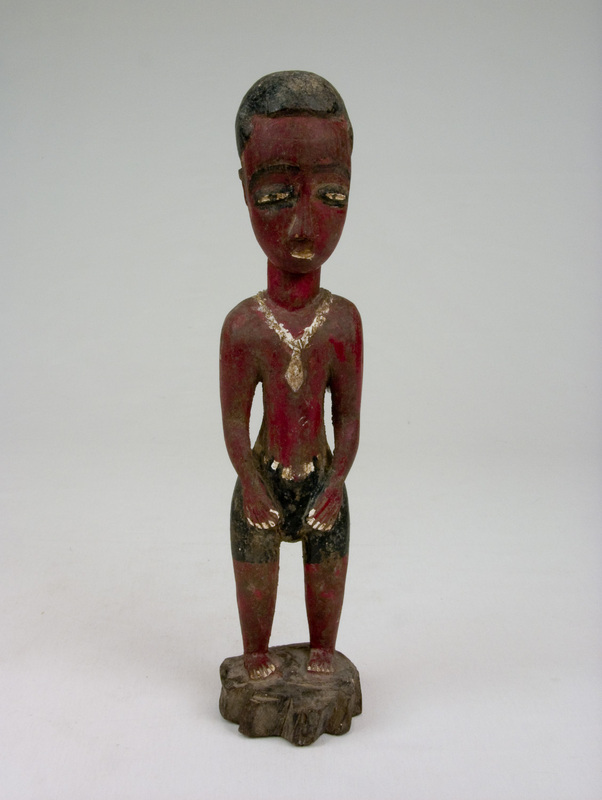 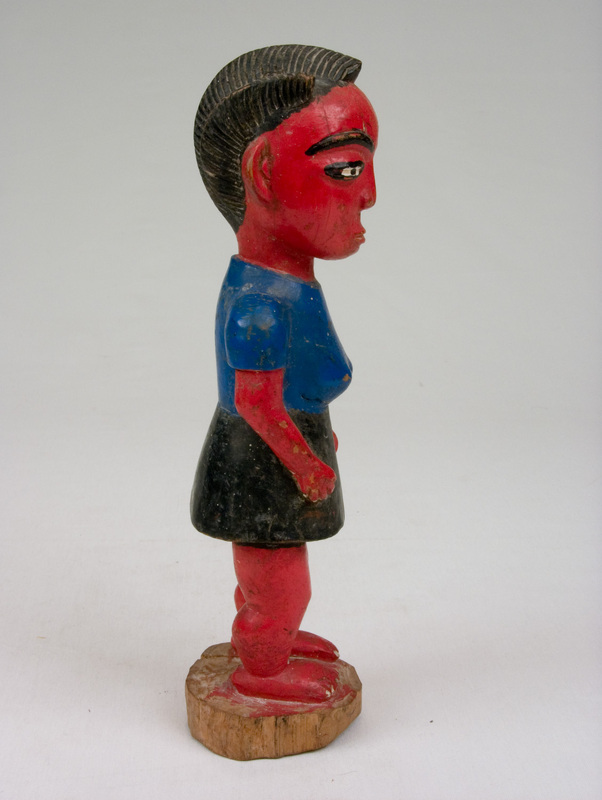 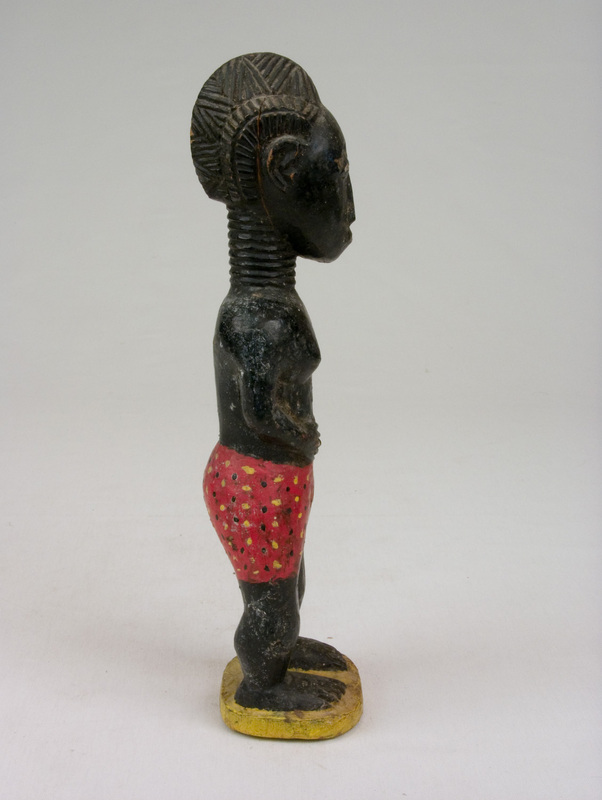 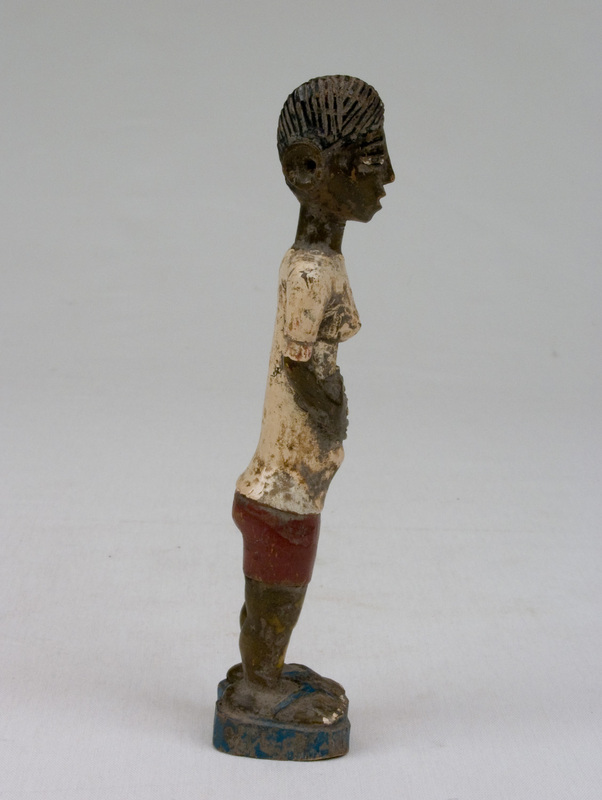 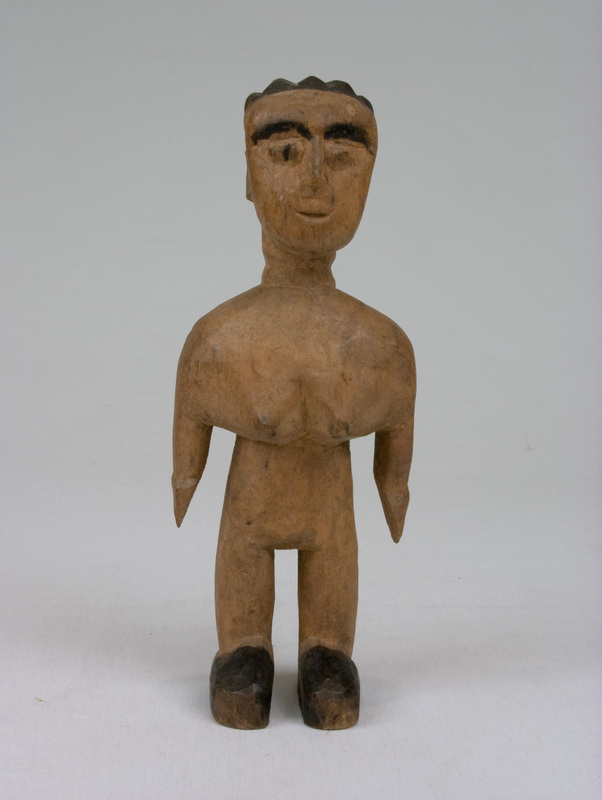 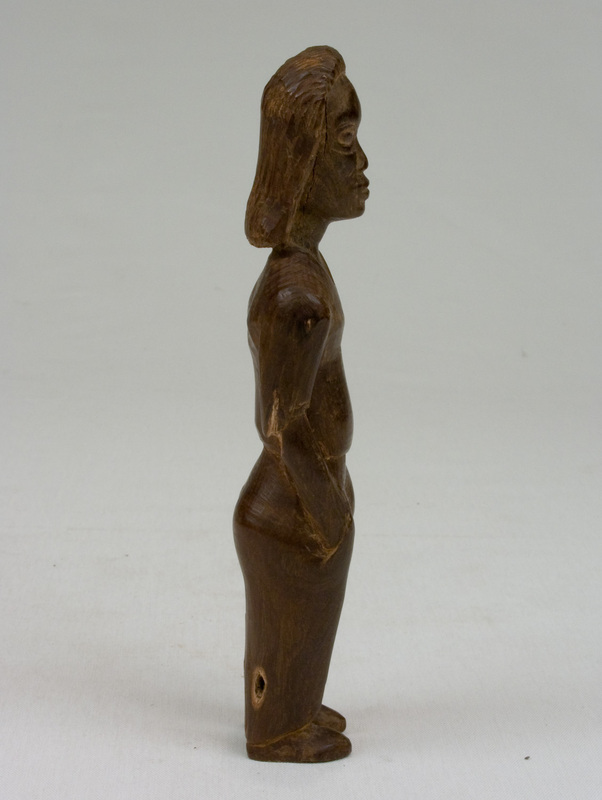 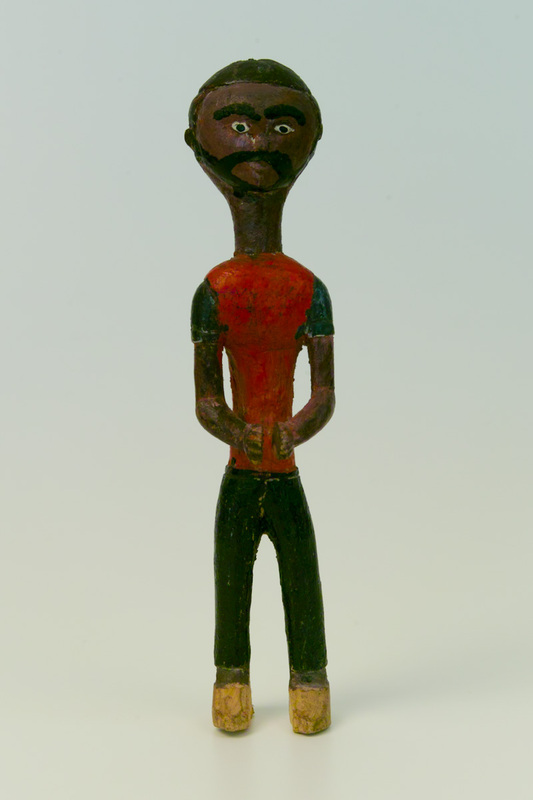 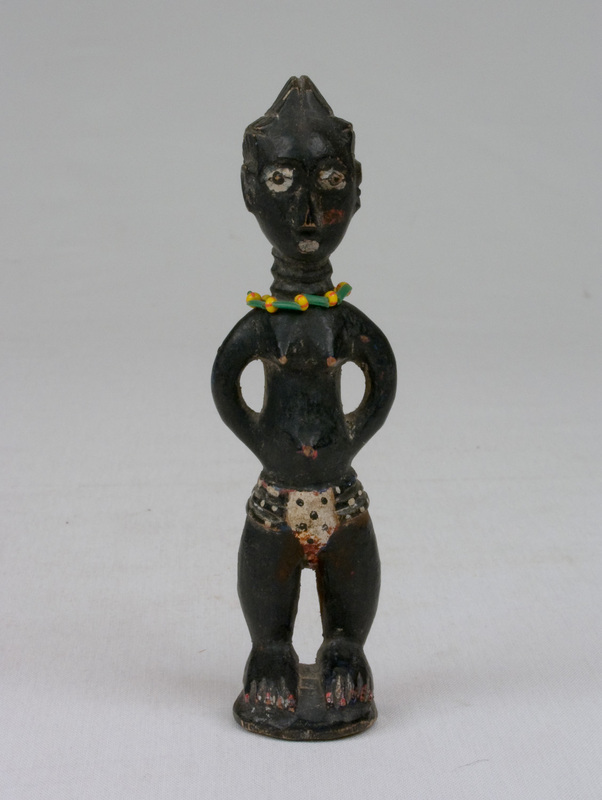 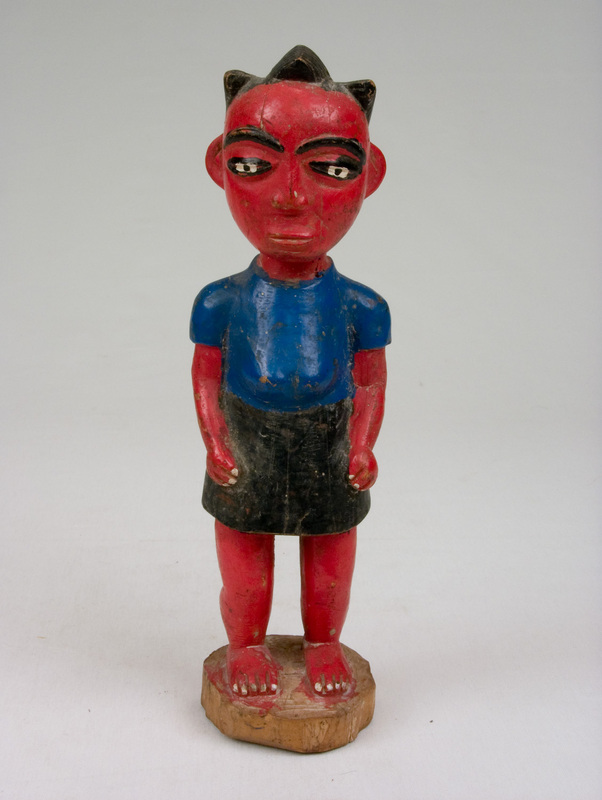 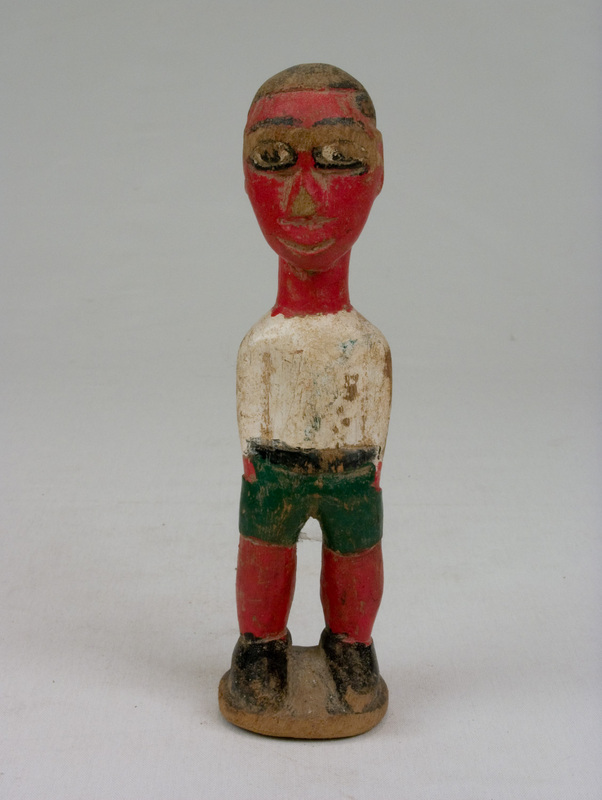 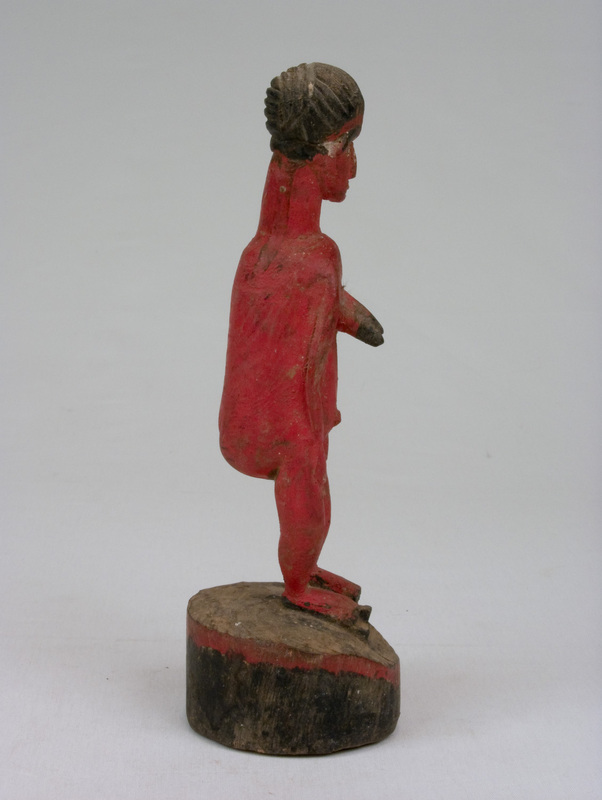 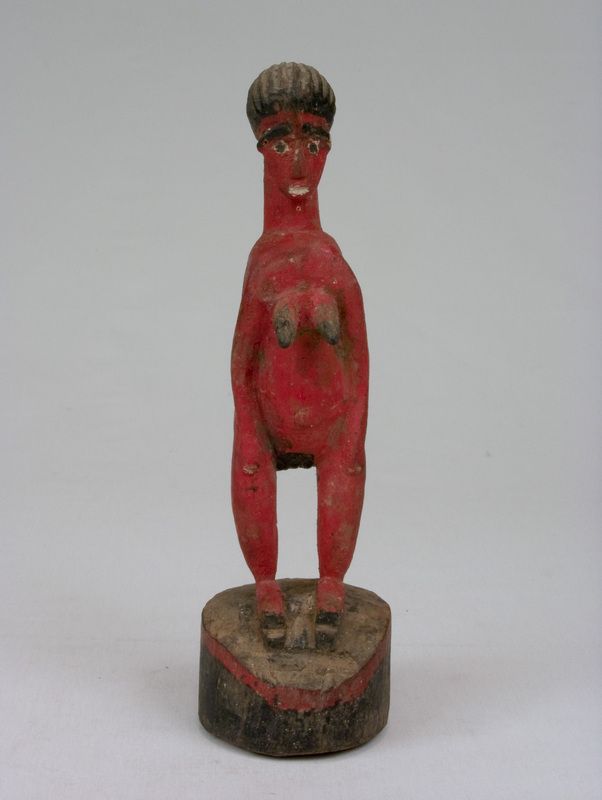 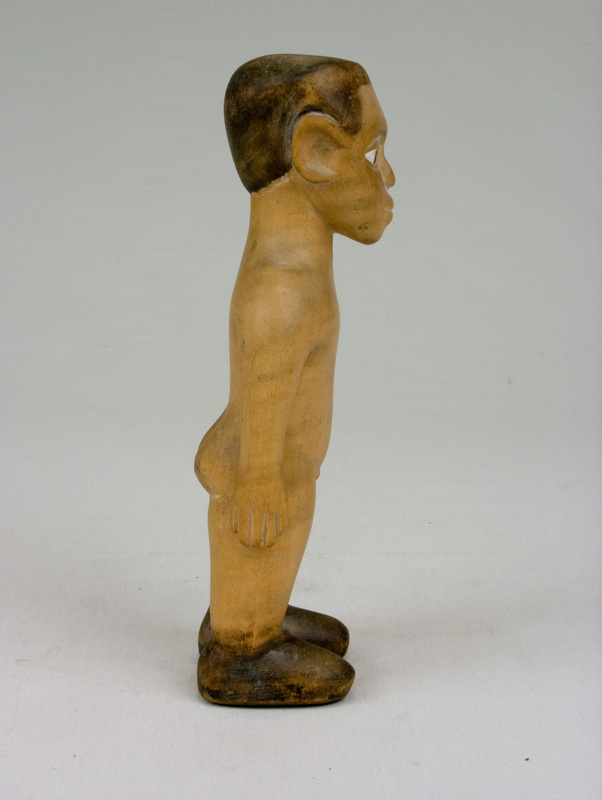 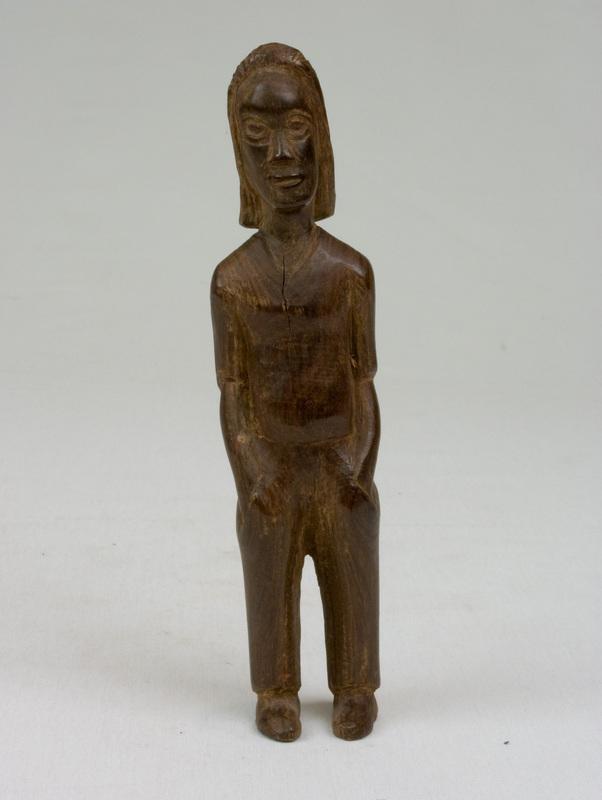 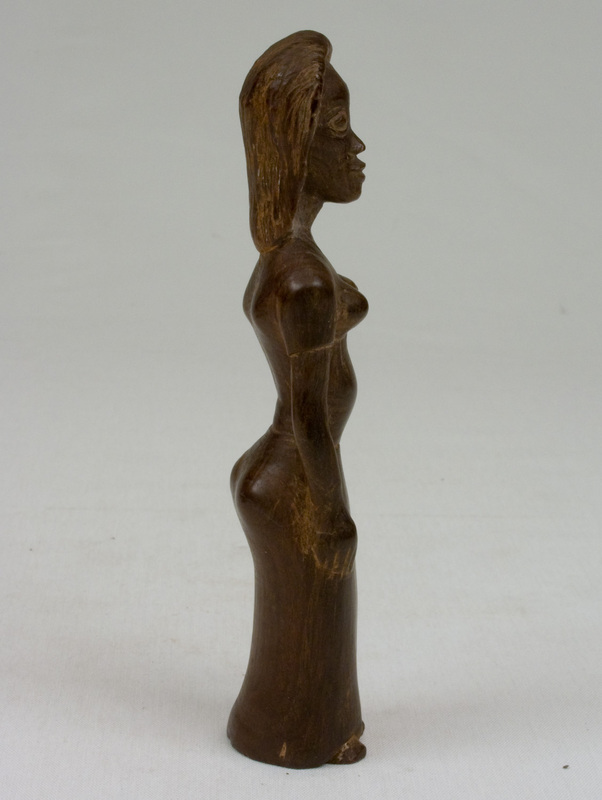 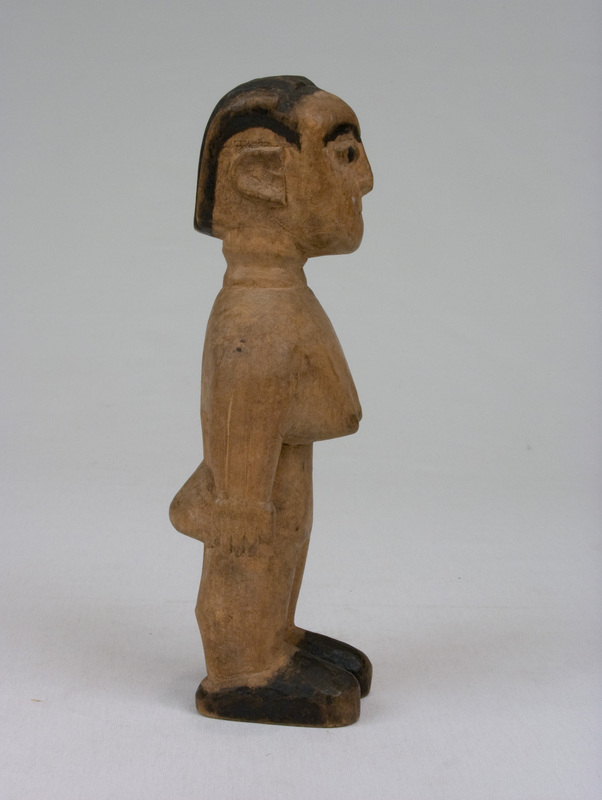 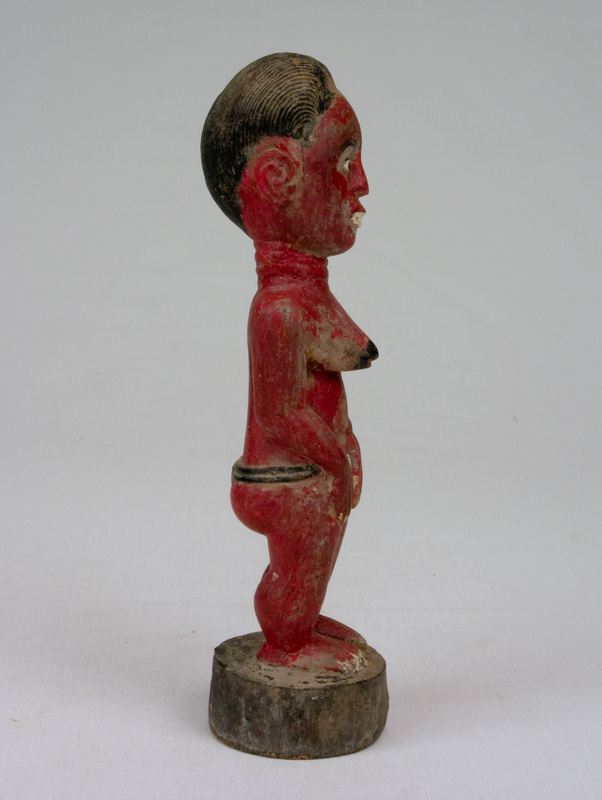 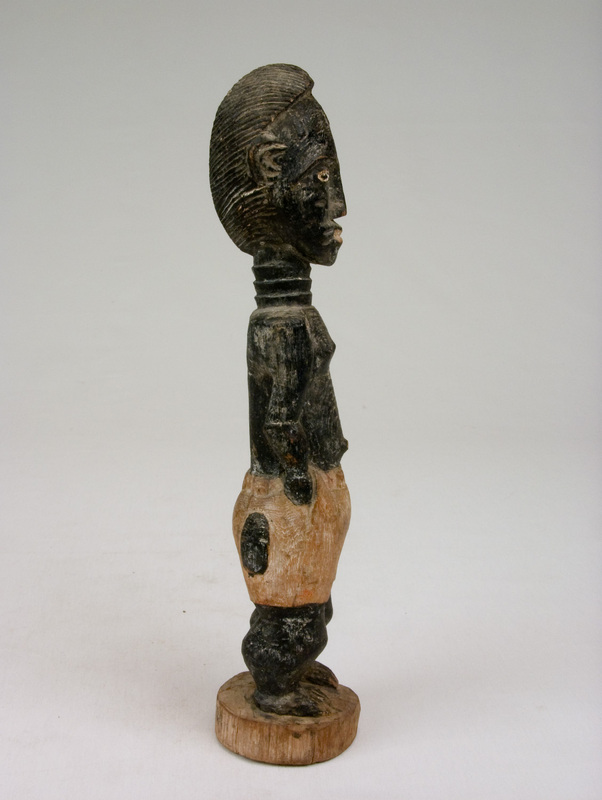 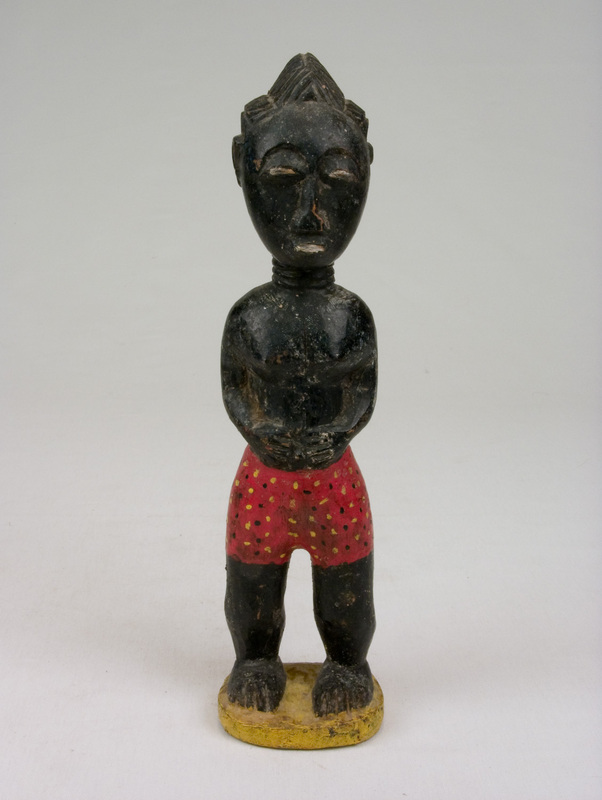 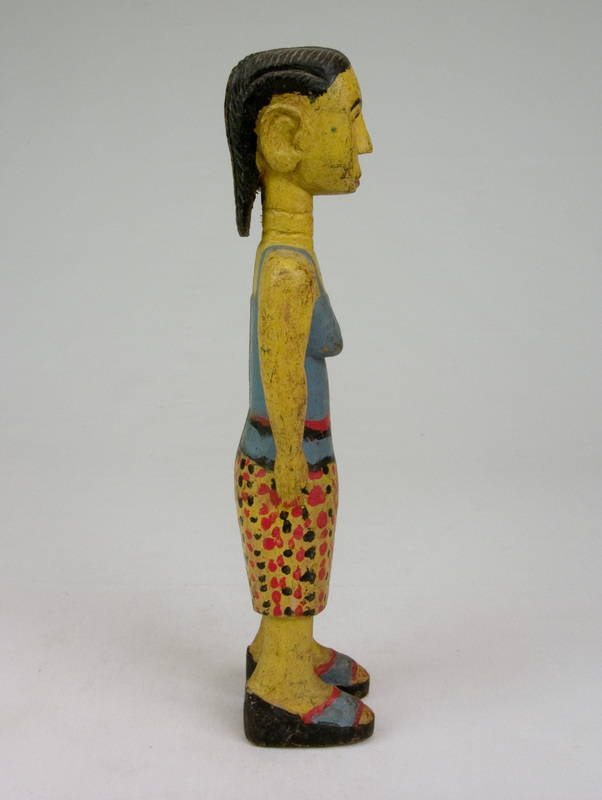 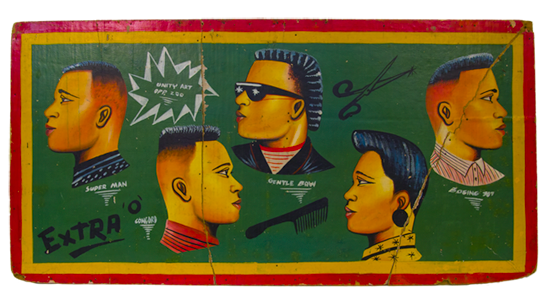 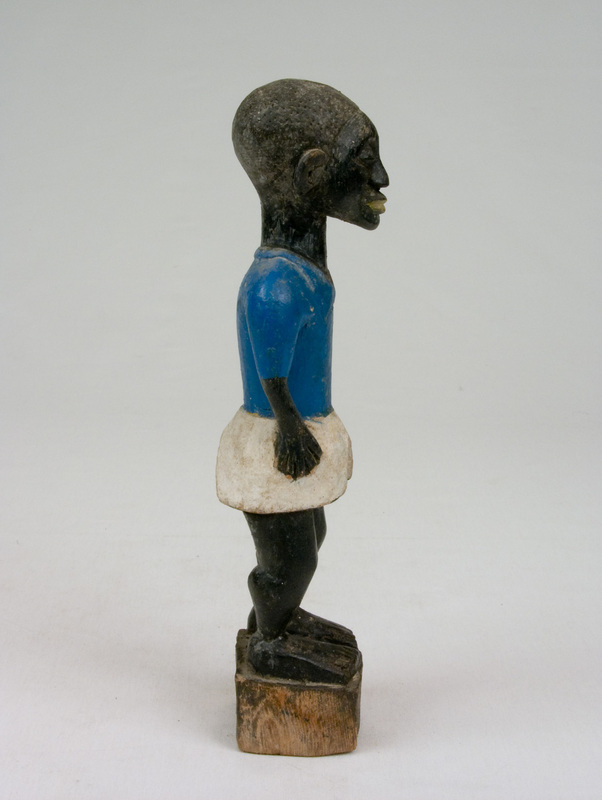 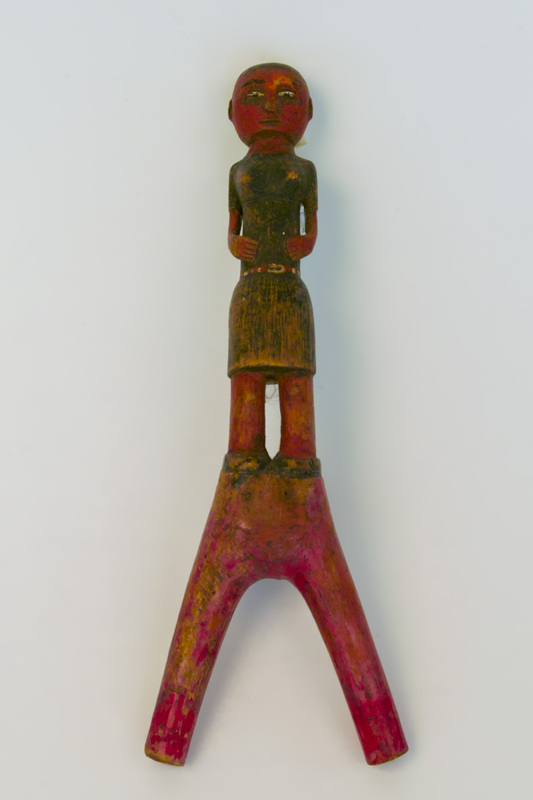 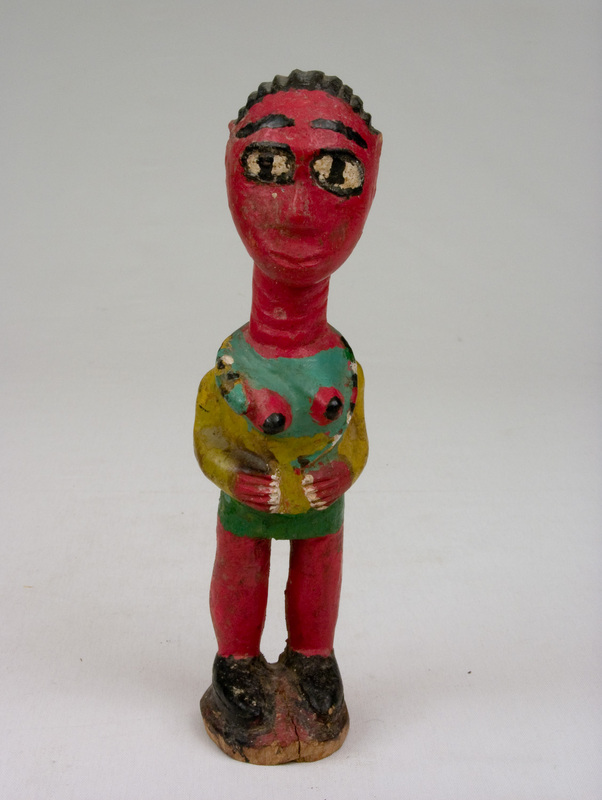 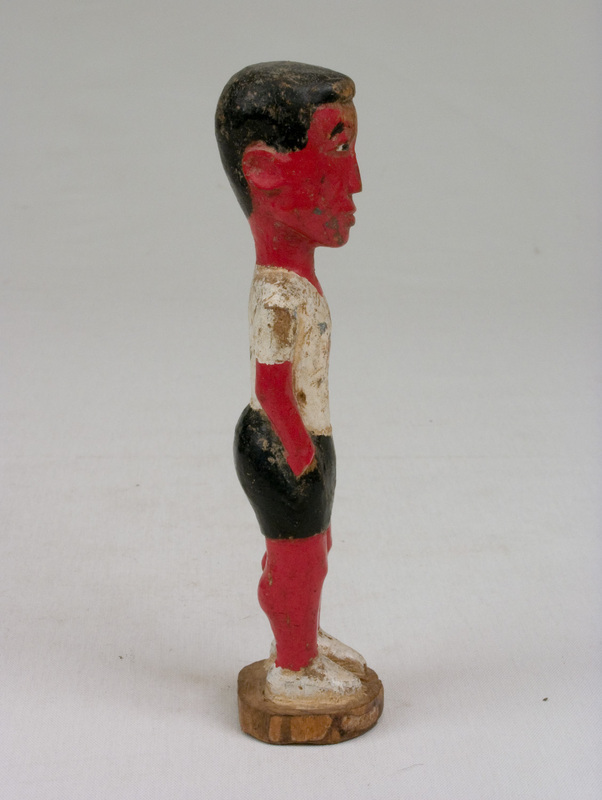 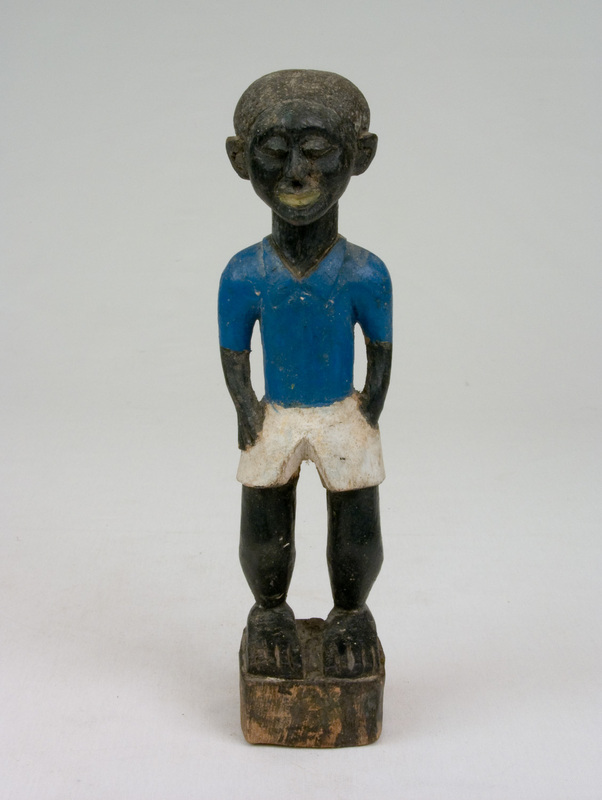 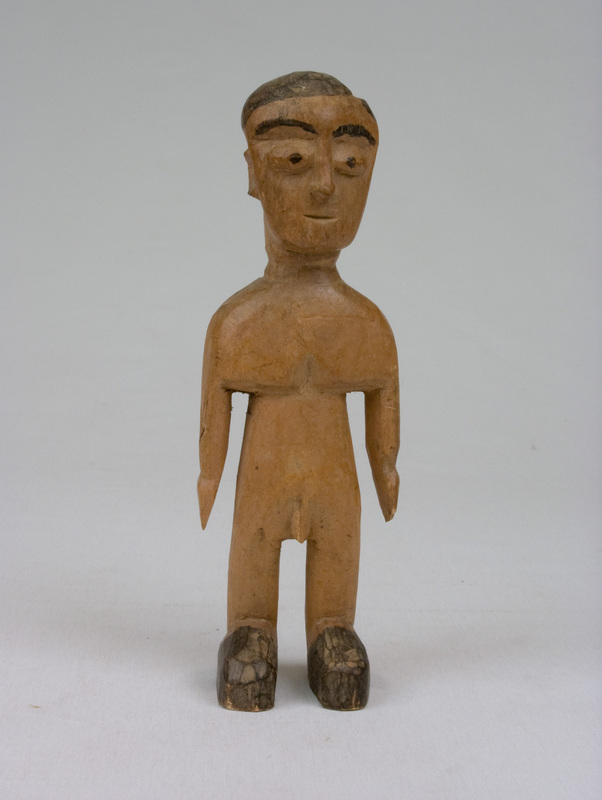 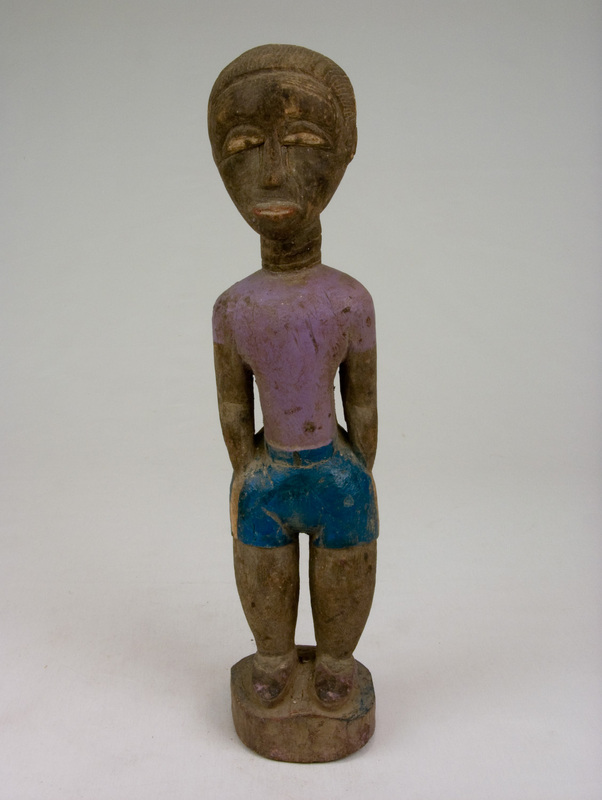 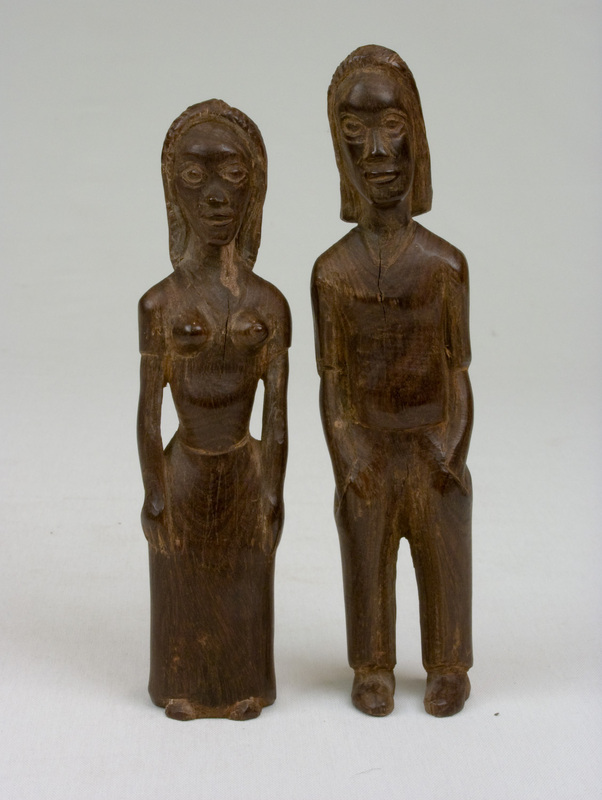 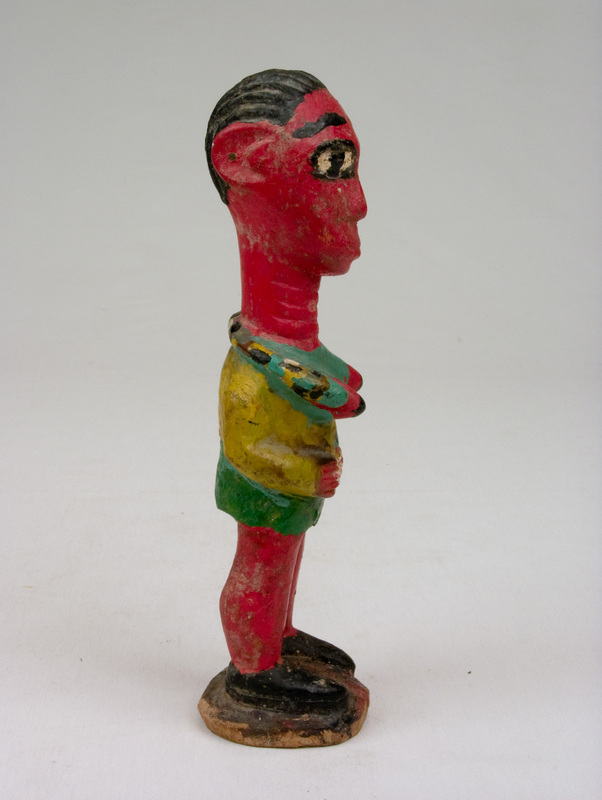 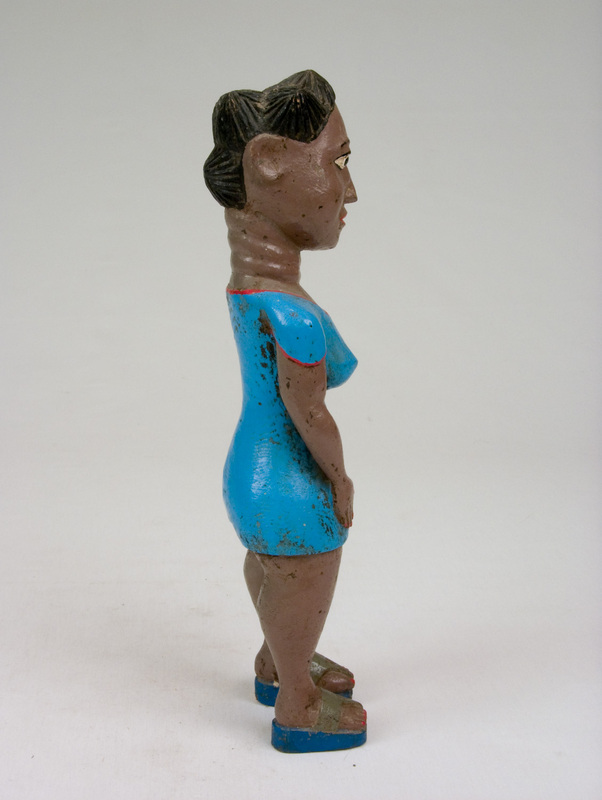 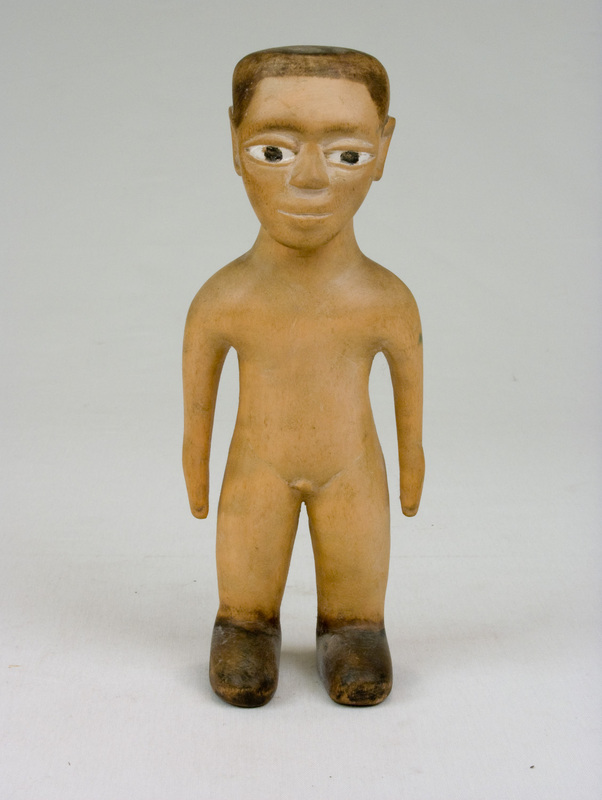 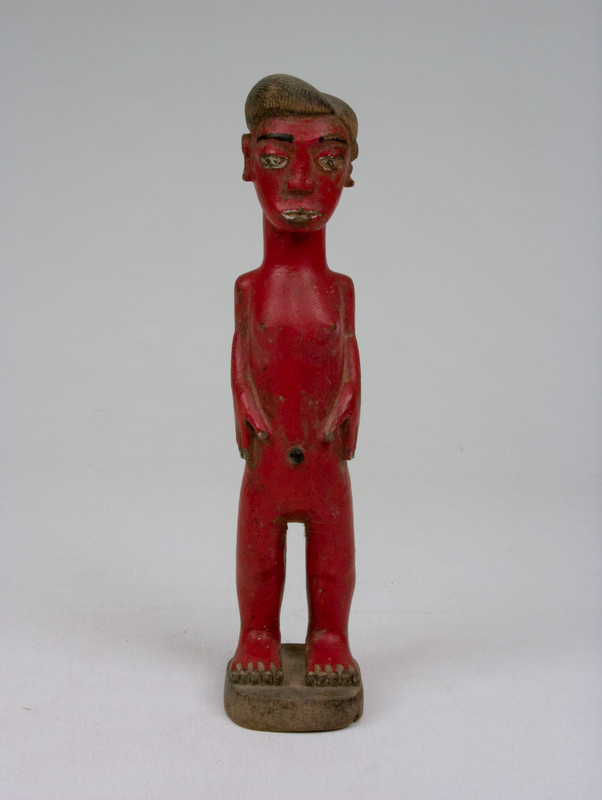 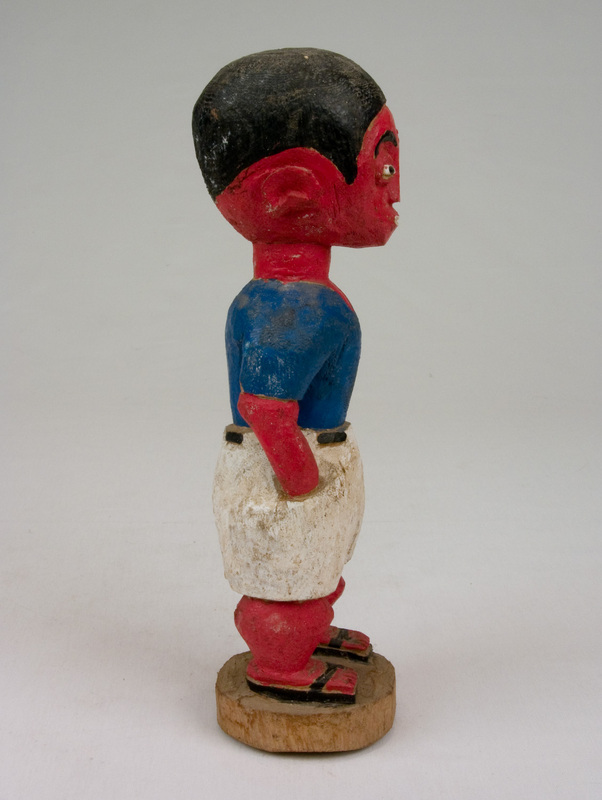 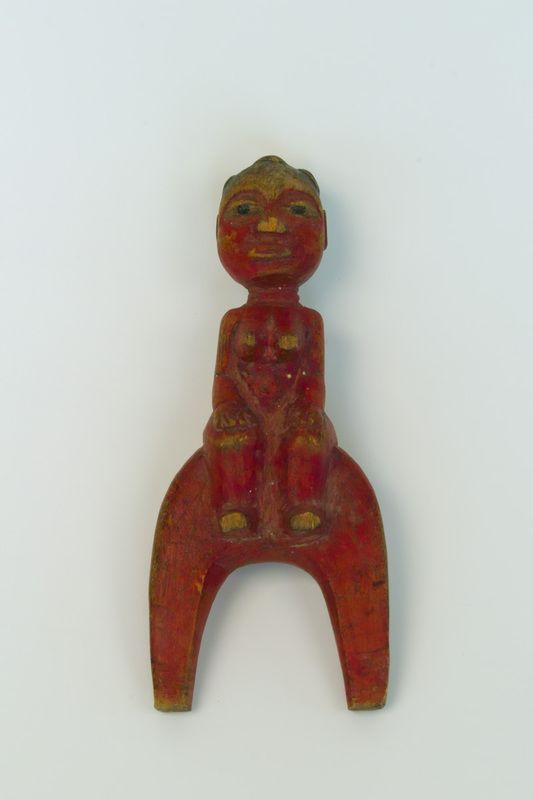 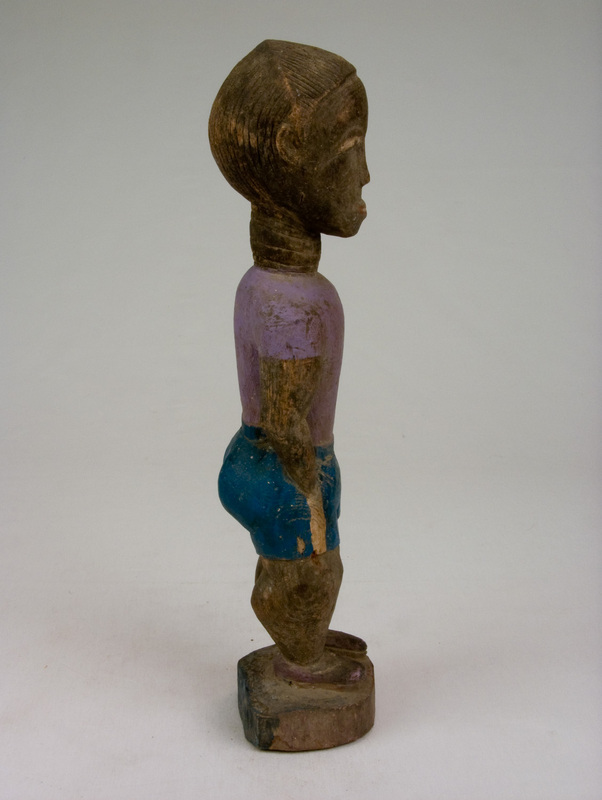 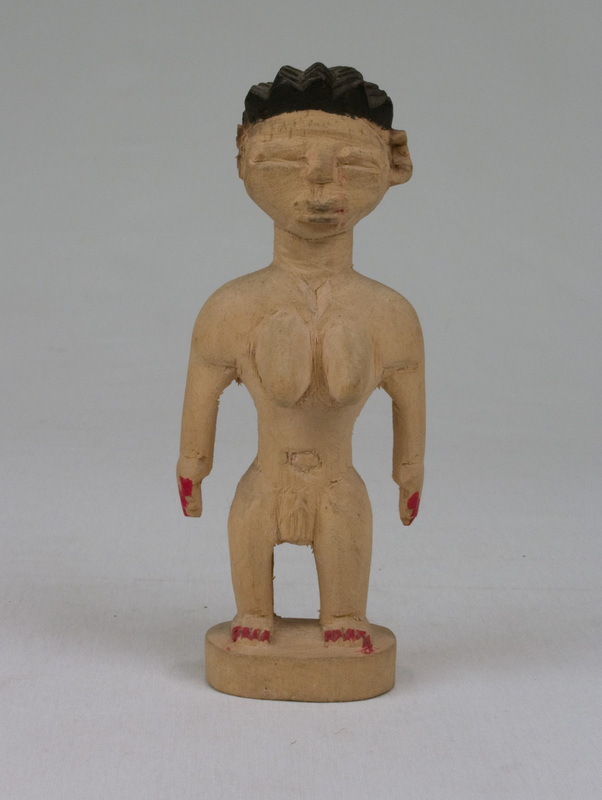 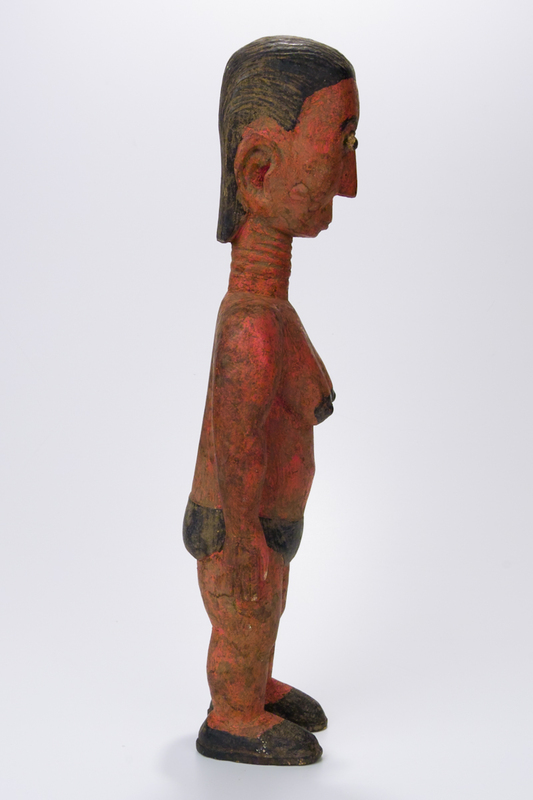 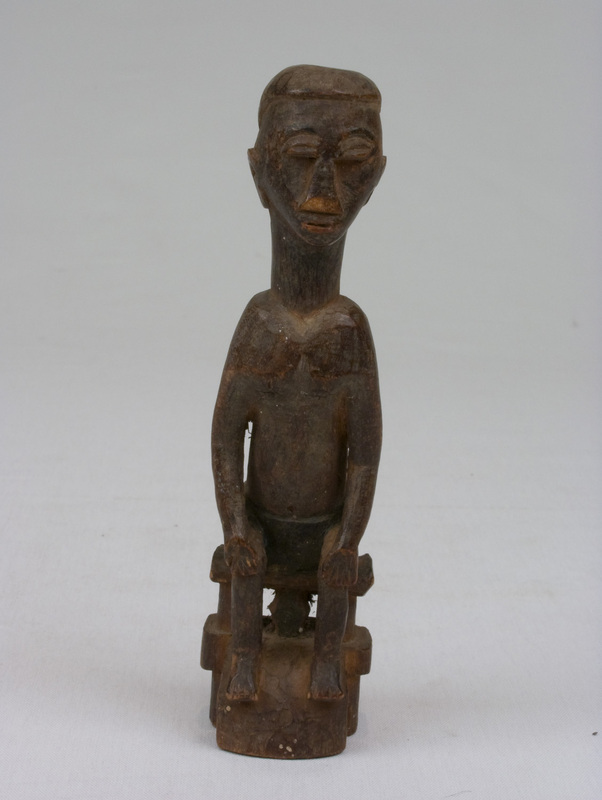 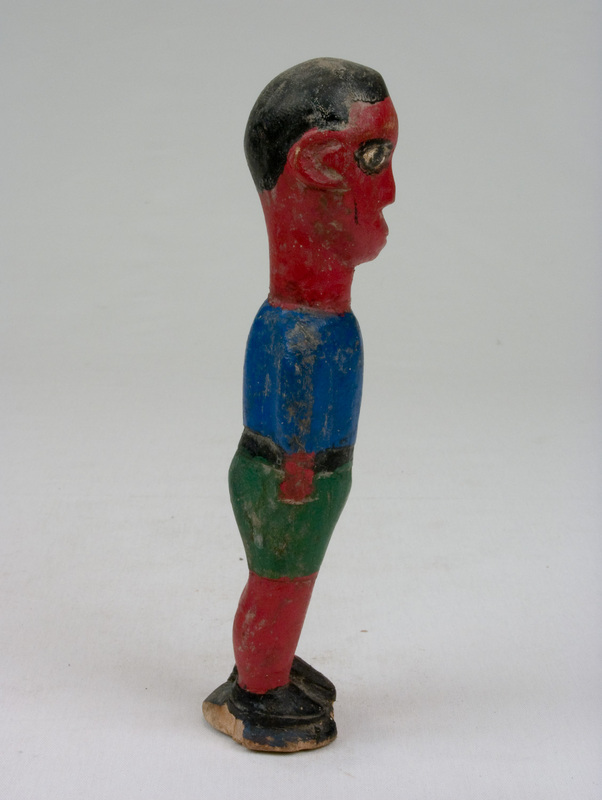 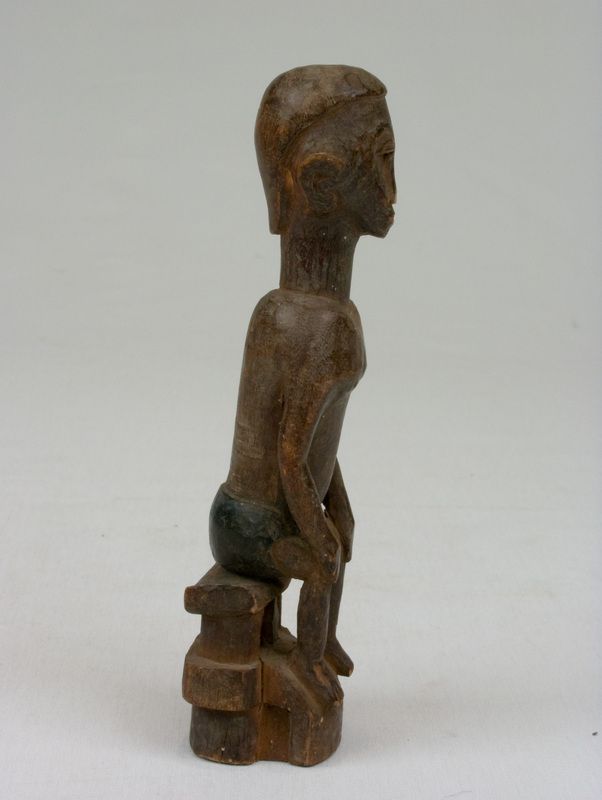 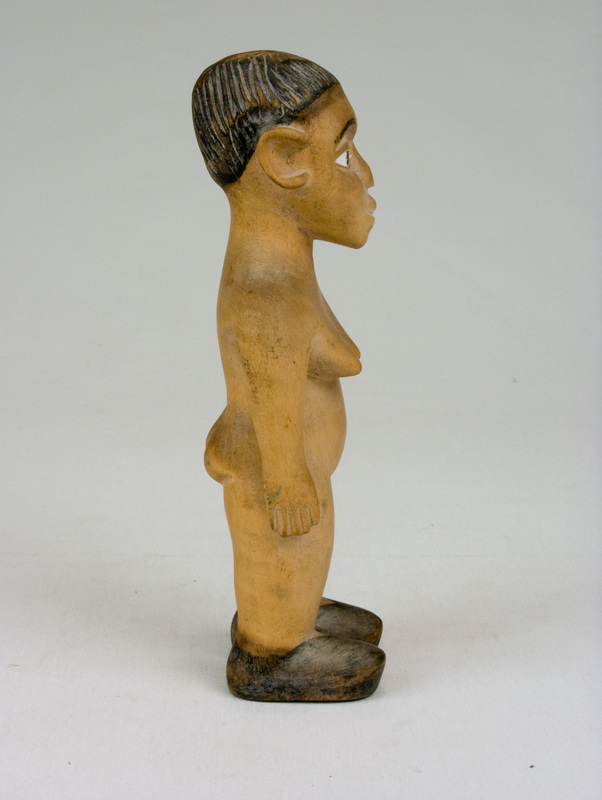 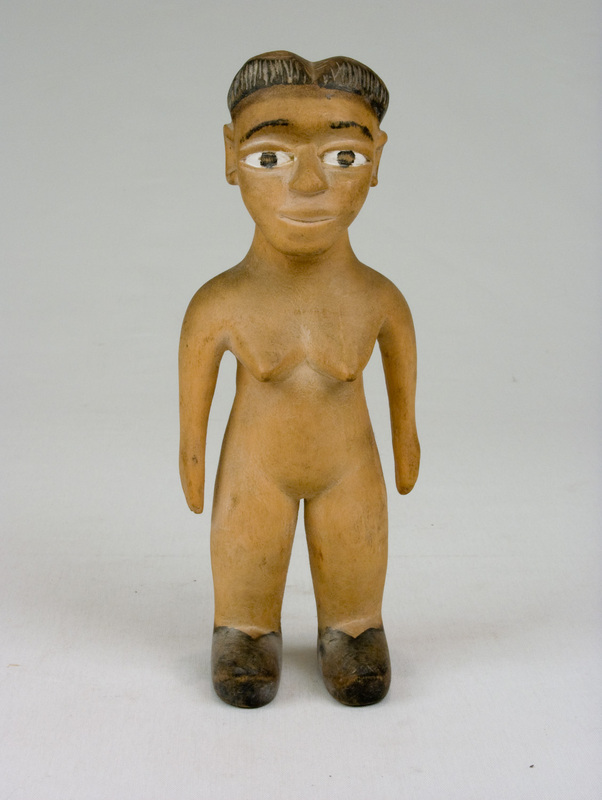 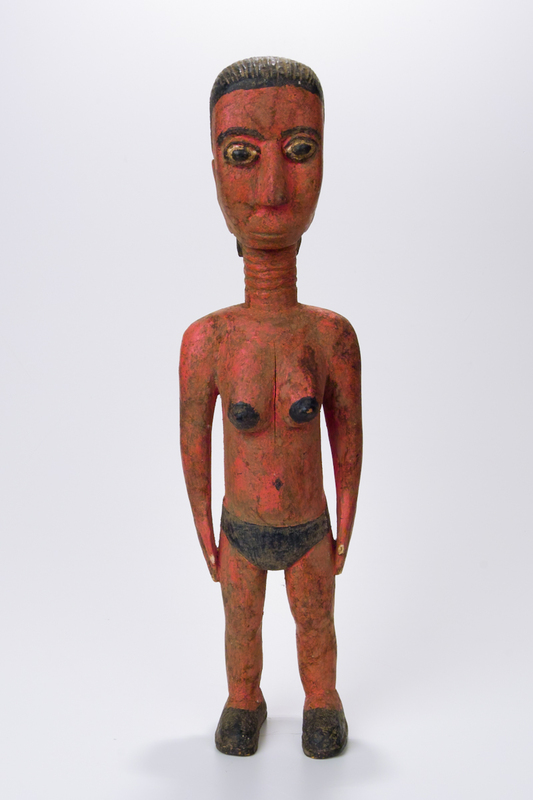 Many of the carved figures in our collection are "colonial" figures from Baule, Ivory Coast, West Africa. 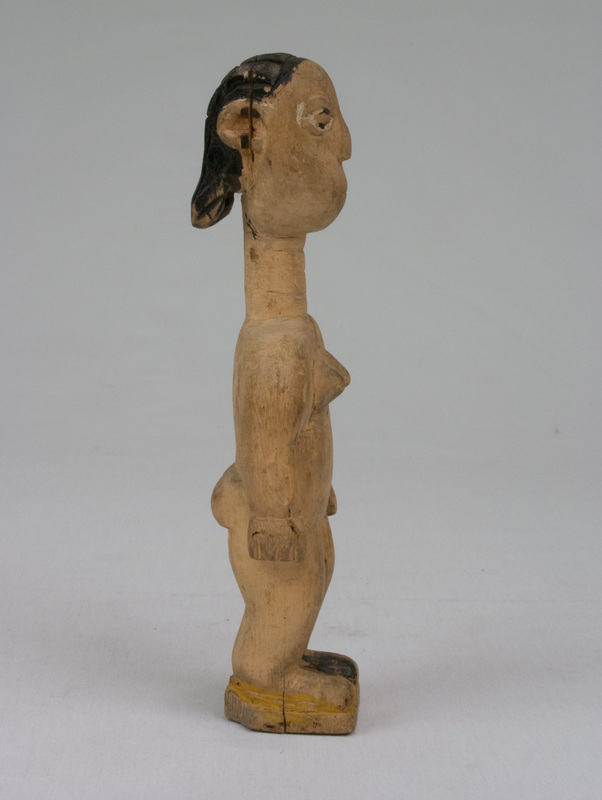 Each unique, in some cases, including hair style, shoes, and clothing, they represent the ideal mate in the otherworld or blolo to the Baule people. 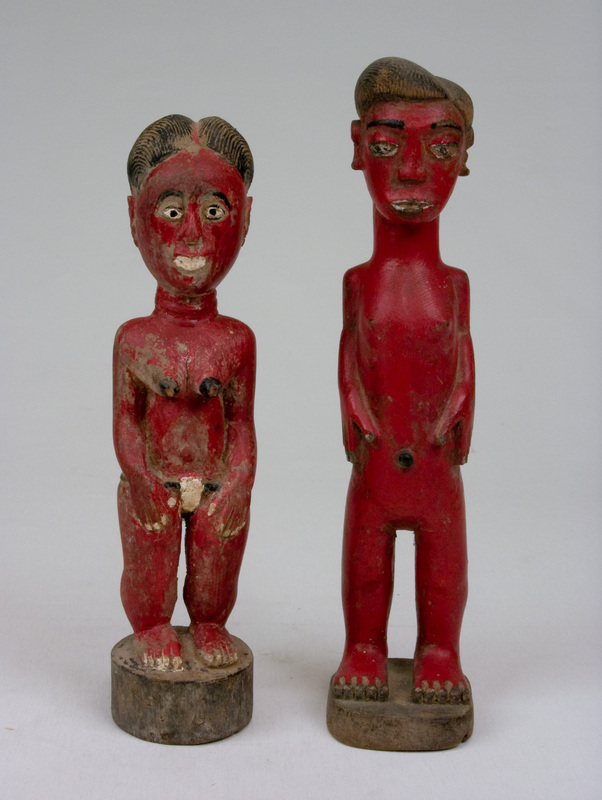 These figural pieces were procured from the same source over the course of several years. 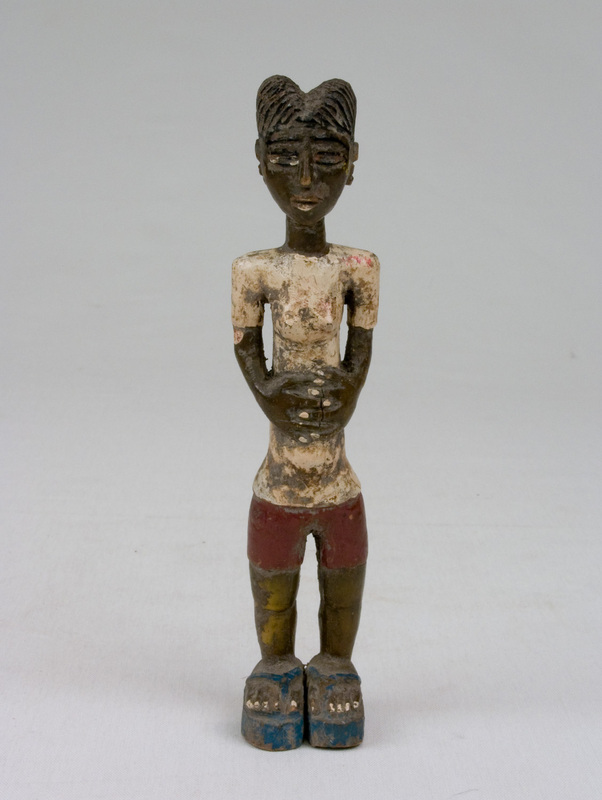 An innocent and wise man, Ali came to the States primarily to deal in art while enabling his family in Baule a better economic future. 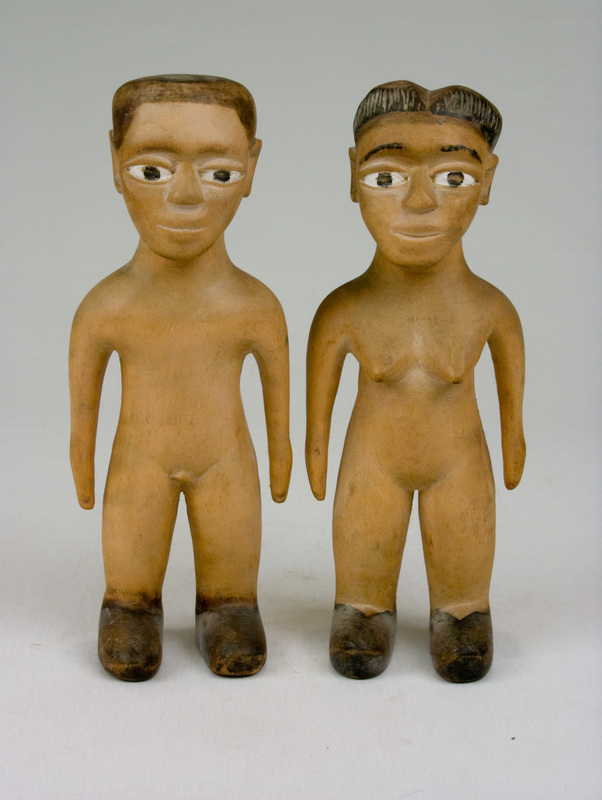 Two figures, a man and a woman, are from Westmoreland, Jamaica. 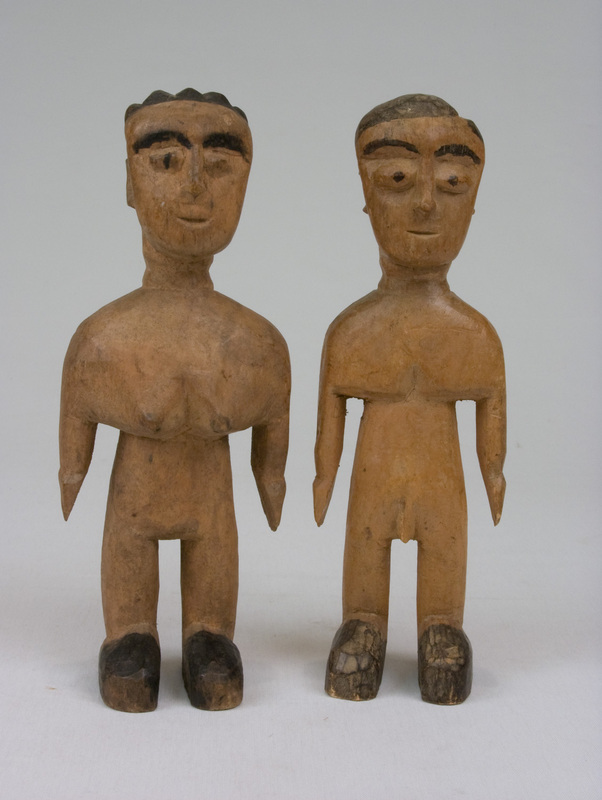 These were carved by an elder man known as "the Scientist." 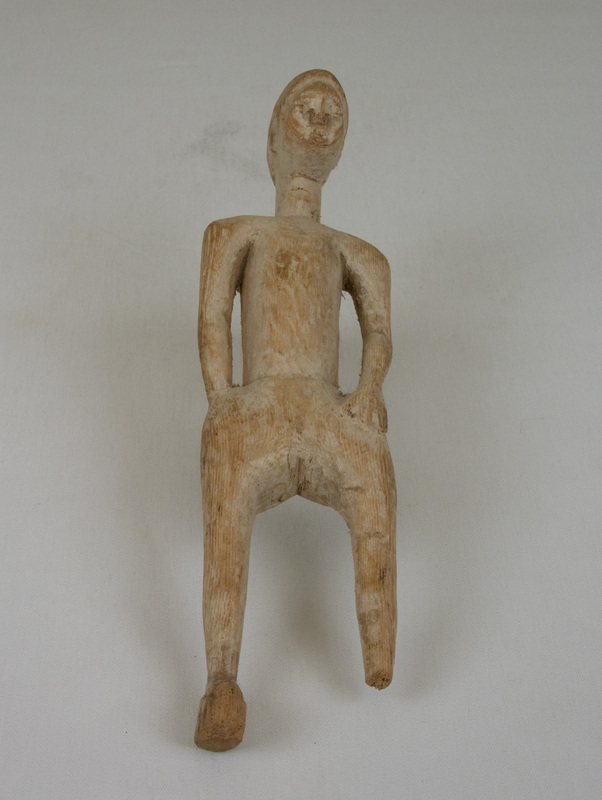 They are quite weighty and substantial for their diminutive size having been carved from the wood of a Lignum Vitae or Iron Wood tree also known as the Tree of Life. 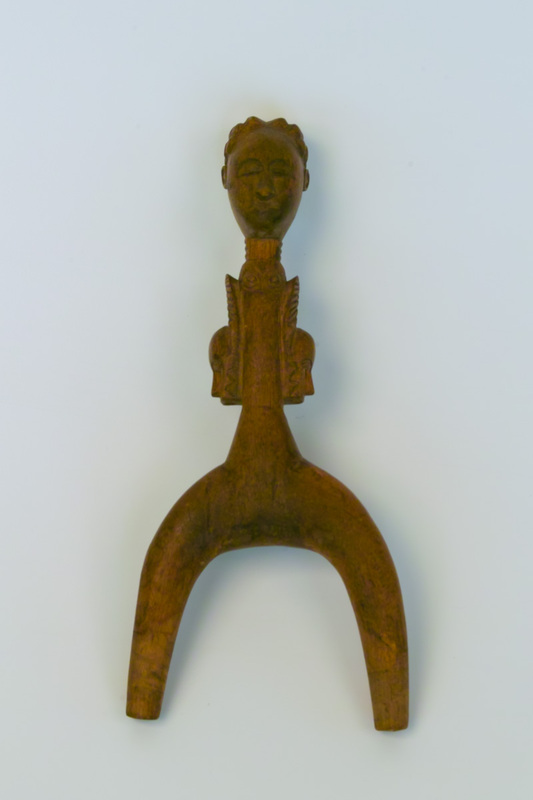 They were purchased on the final day of a holiday on the island a rare encounter with a man who possessed not only an artist's spirit and hand, but a deep knowledge of botanical species indigenous to the island with medicinal and culinary uses such as clove, ginger, and nutmeg.